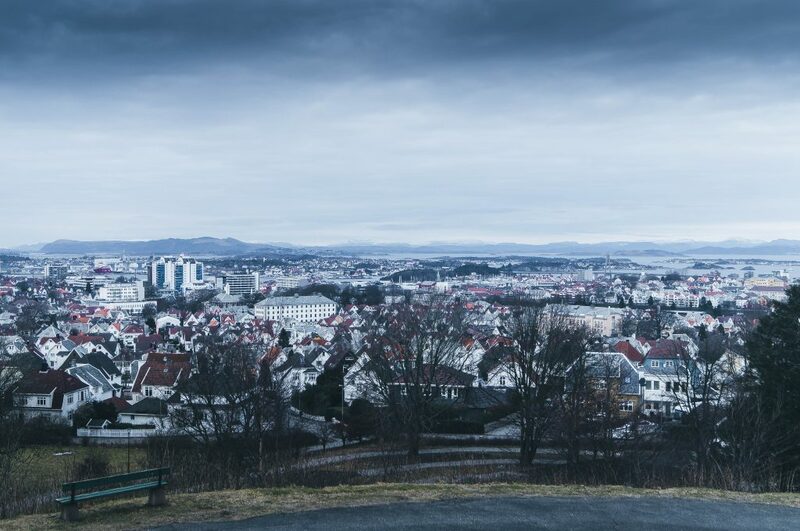 Stavanger is such a beautiful city, situated along the western coast of Norway, there’s no reason not to visit. 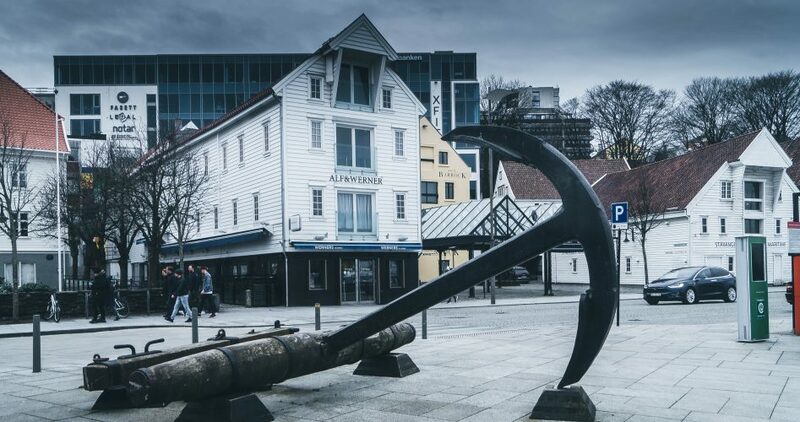 Whilst it can be very cold, it’s full of stunning buildings, quirky cafes and plenty of shops – just to mention a few things to do in Stavanger. 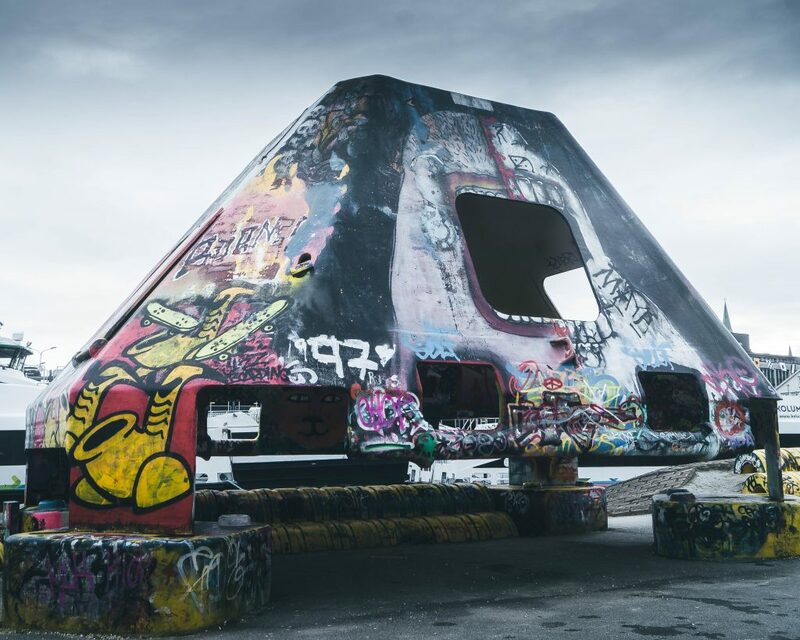 When it comes to local attractions, you won’t be bored… there are various museums, monuments and activities to keep you busy. I’m happy to say, jetting off to Stavanger, Norway for my 20th country was a great idea. 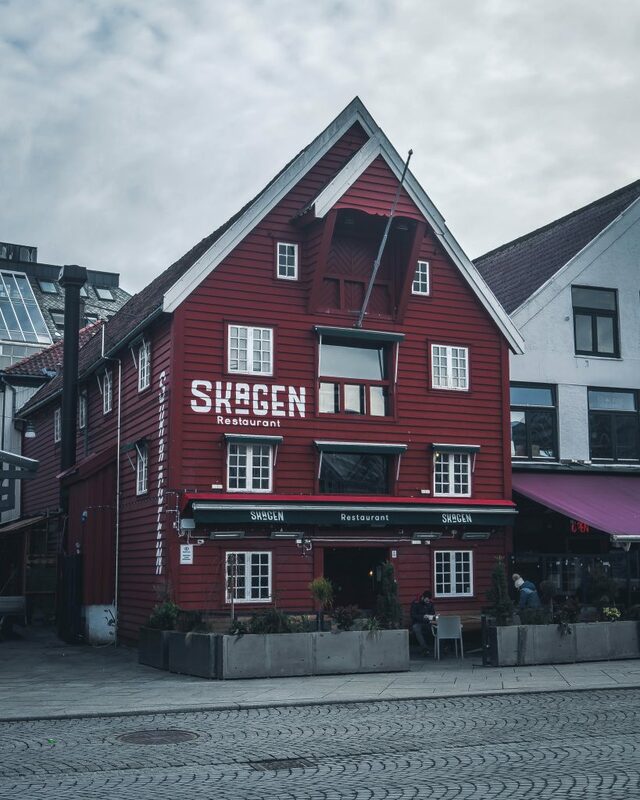 If you love small cities with beautiful buildings and plenty of things to see and do keeping you busy, then Stavanger is a great idea for your next adventure. Stavanger Airport, Sola is a short 17-minute journey to the city centre. Arranging accommodation in the city is ideal to help minimise costs. 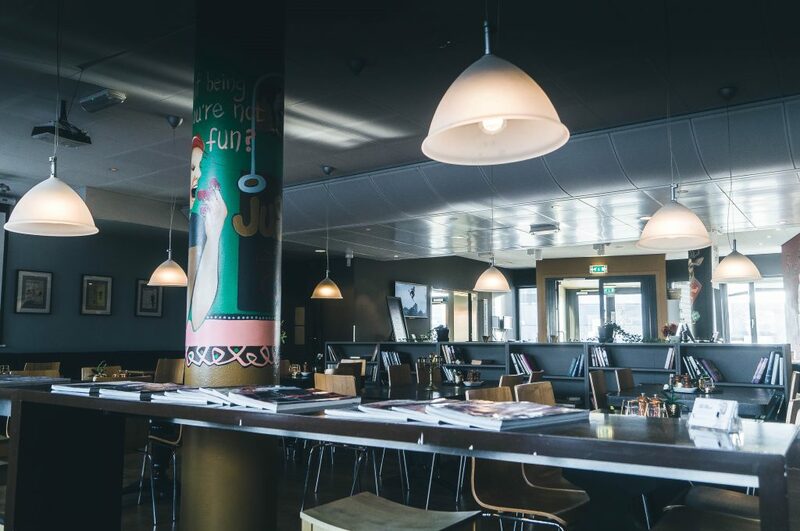 Once arrived in the centre, there are various places to grab a bite of food, but don’t spend too long drooling over the mouth-watering menus as there are lots of things to do in Stavanger that you should consider adding to your itinerary. 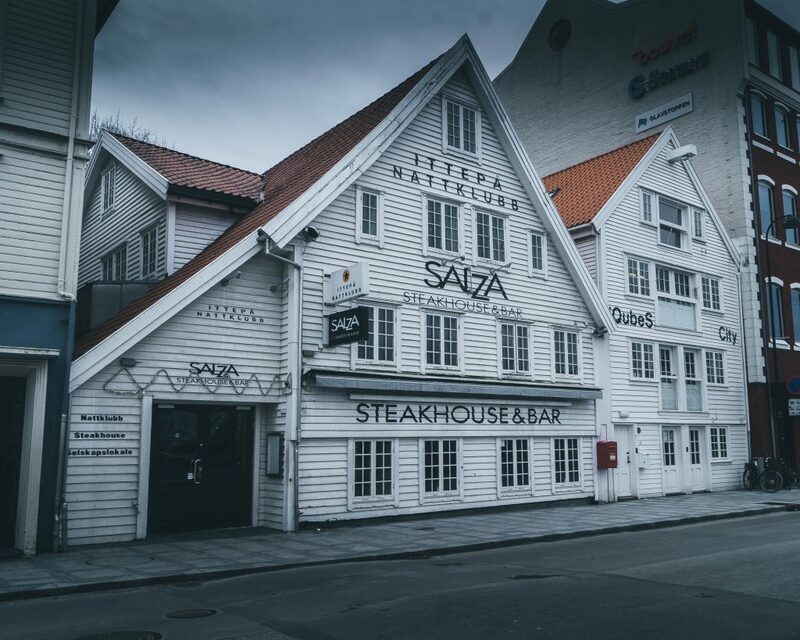 Dining out in Stavanger right near the harbour is just one of many things to do in Stavanger. One of my favourite things to do in Stavanger is walking around streets in Gamle. There are around 250 buildings mostly small wooden cottages. These beautiful houses were built in the 18th century and at the beginning of the 19th century. 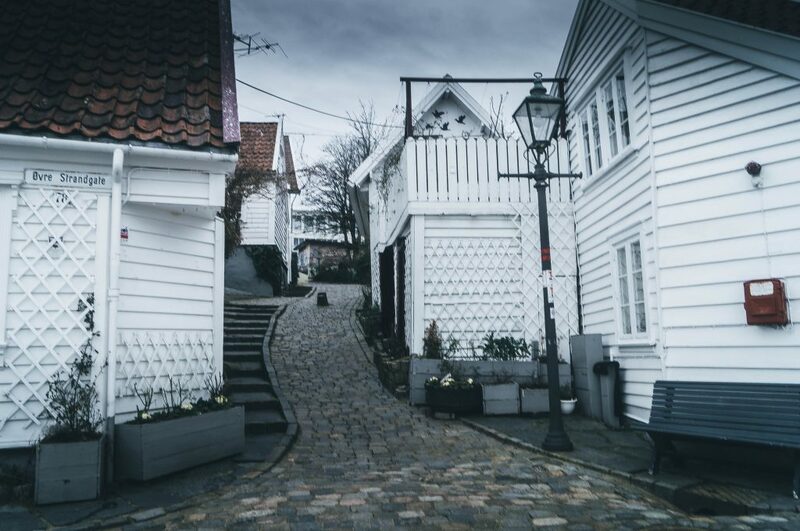 A walk around Gamle Stavanger will keep you clicking away with your camera. 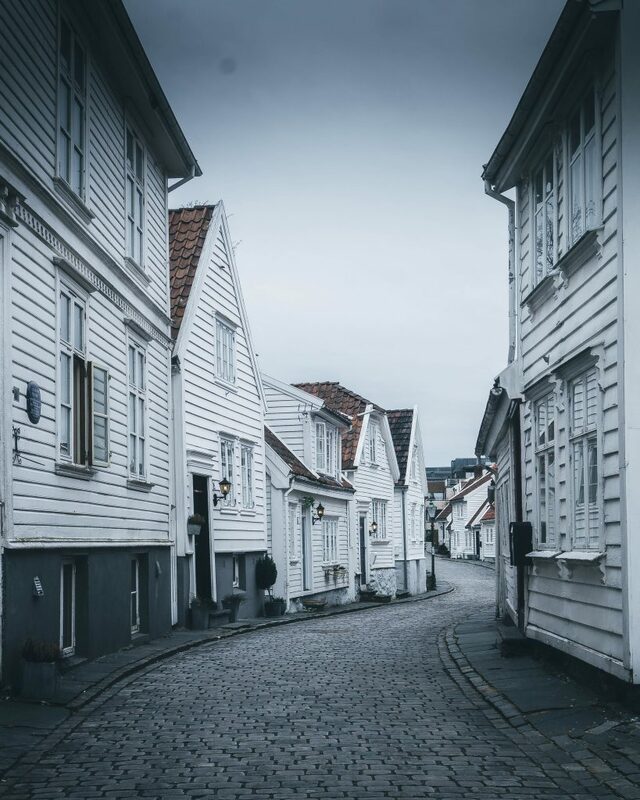 One of the best free things to do in Stavanger is walking around the streets in Gamle. 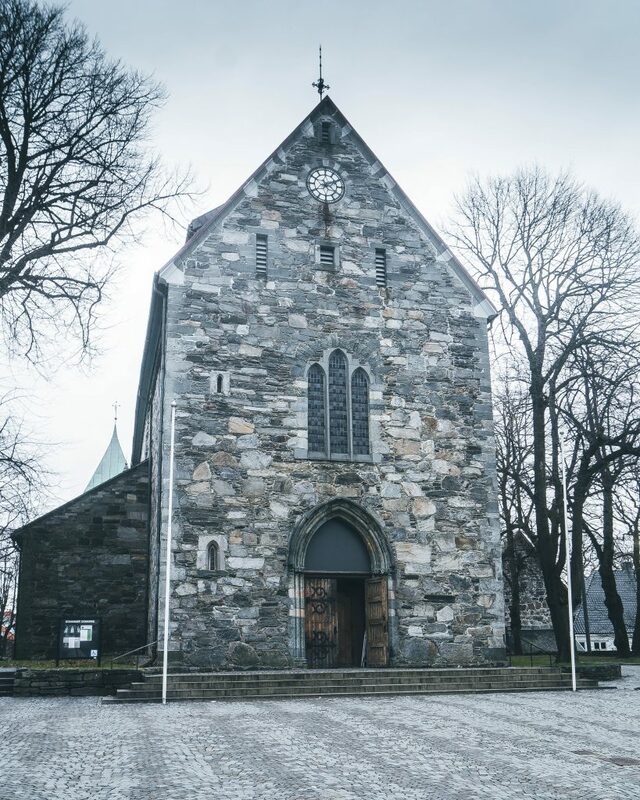 A visit to Norway’s oldest cathedral, Stavanger Cathedral (Stavanger domkirke) is a must. It’s a beautiful church and is situated in the centre of the city. It was built around the 1100s and finished around 1150. Don’t just admire the exterior, take a step inside and see the stunning interior for yourself. 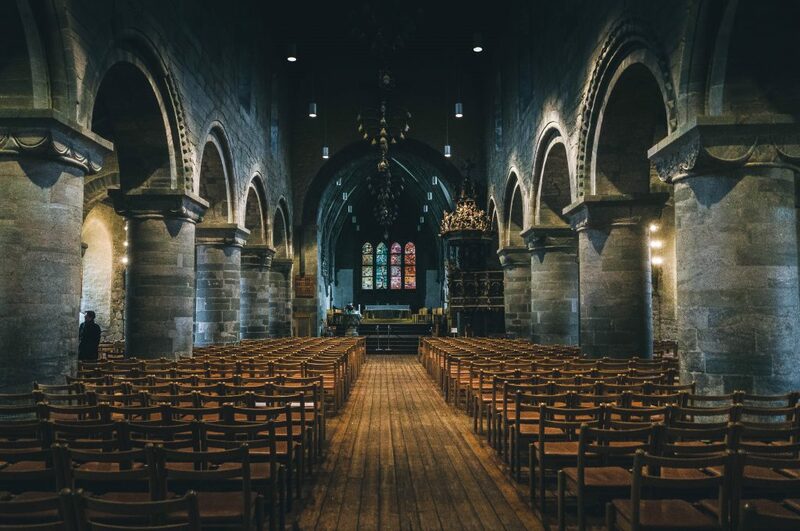 The Stavanger Cathedral makes it to the top things to do in Stavanger due to it’s beautiful exterior and stunning interior. Whenever I visit a new country, I’m always keen to try out different restaurants and see what they have to offer. In Stavanger, there’s plenty of options. Take a walk along the harbour and you’ll come across a various restaurants offering a variety of cuisines. The GeoPark is situated right near the Norwegian Petroleum Museum and is constructed and developed from objects from the oil industry. Designed by the Architects Helen & Hard and the Norwegian Petroleum Museum, this park was built for youngsters offering a variety of activities from skating, climbing, graffiti art to performances, concerts, dance and classes. The GeoPark is full of many activities making it great for youngsters. Situated right beside the Norwegian Petroleum Museum, this one of many things to do in Stavanger. If there’s one thing you must do when visiting Stavanger, that’s hopping on a fast ferry to the fjords. What an amazing experience and memories made from this trip. 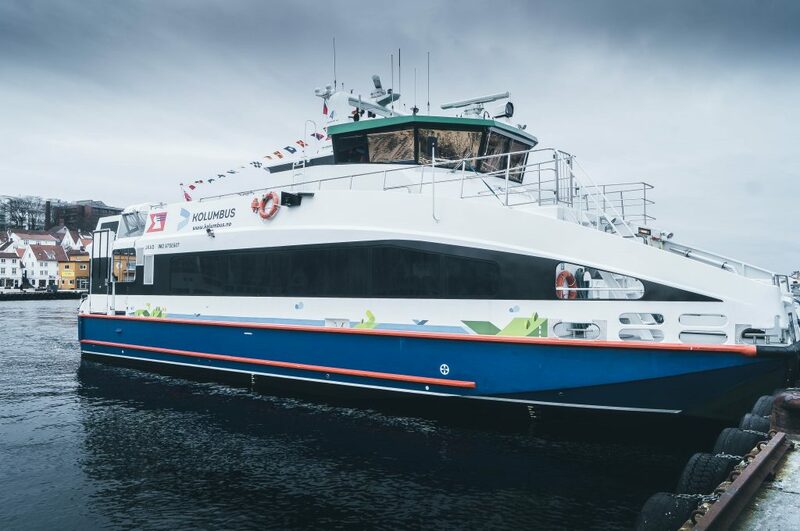 Head on over to the harbour in Stavanger and you’ll find the tour agency Rodne Fjord Cruise. Book a ticket and you’ll soon be off exploring the stunning fjords. Tickets cost NOK 470 (£43) for adults, NOK 300 (£27) for children and from NOK 1 300 (£120) for families. This experience is a must if you visit Stavanger. Whilst it’s not directly in the city centre, a short walk to and you’ll come across the best-preserved mansion house in Norway. 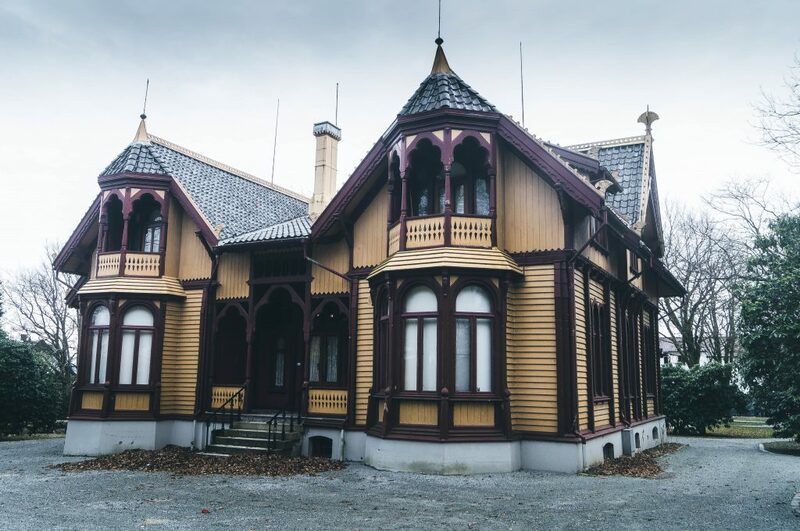 Built-in wood by architect Henrik Nissen in 1881, this stunning mansion has a beautiful exterior and incredible interior. The owner of the mansion was one of the leading businessmen in Stavanger at that time, merchant and shipowner Lars Berentsen. 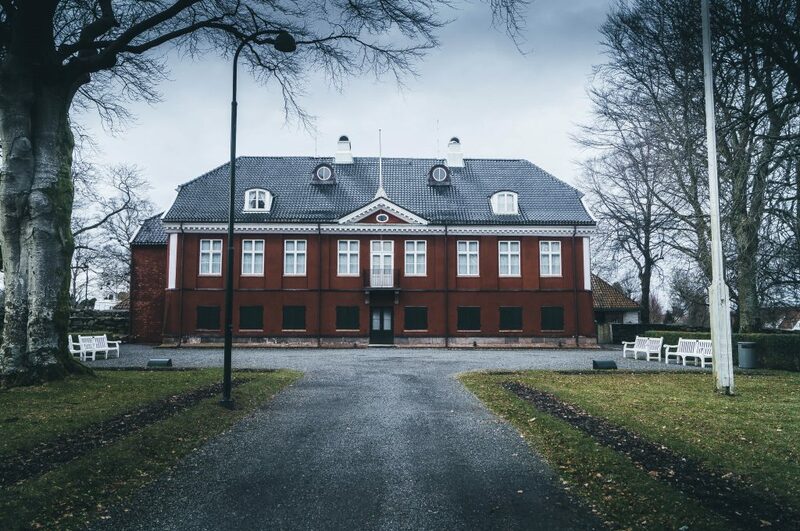 The mansion is open to the public and offers an interesting insight into what lifestyle for the middle-class in Norway was like at the end of the 1800s. I love a good view of a city and when I found out there’s a place called Valandstarnet just a short walk from the centre, I had to go there. I arrived at around 15:30, just in time to see the sunset and admire the views of the entire city, surrounding fjords and islands. 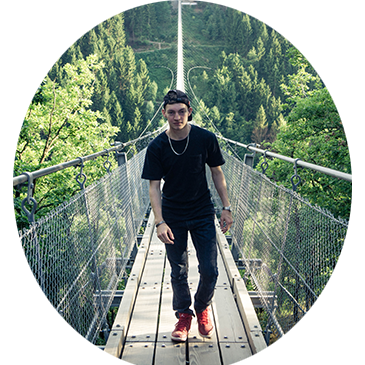 Once you’ve reached the top, you’ll come across an old water tower/fire watch tower, a few benches and plenty of areas to walk around the park. So those are my top 7 recommendations for things to do in Stavanger. I’d love to know what you have done, or would find interesting to do whilst in Stavanger. Unfortunately, I was only there for a few days, however, the majority of these attractions can be done in a single day or spread out over a few. Thinking of planning a city-getaway to Norway? 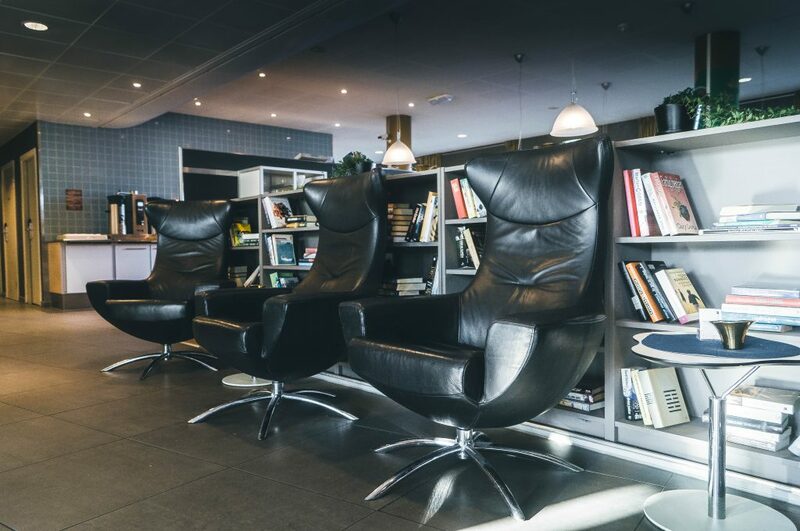 With plenty to do in Stavanger and budget-friendly accommodation available such as Smart Hotel Forus, there’s no reason not to. 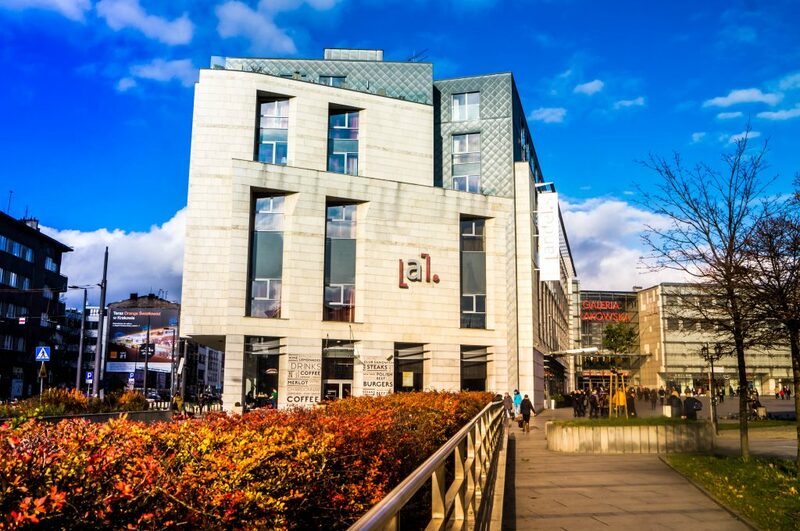 Your search ends here for affordable accommodation in the city centre. Top Tip: For breakfast, try out the natural yoghurt with mixed fruit, it’s delicious! 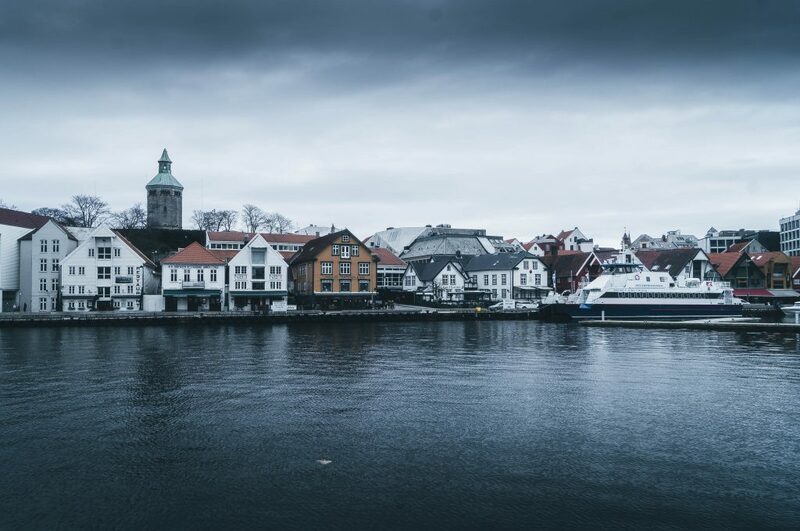 If you’re wanting to visit Norway and take in the beautiful views, amazing attractions and incredible fjords, Stavanger is the perfect location. 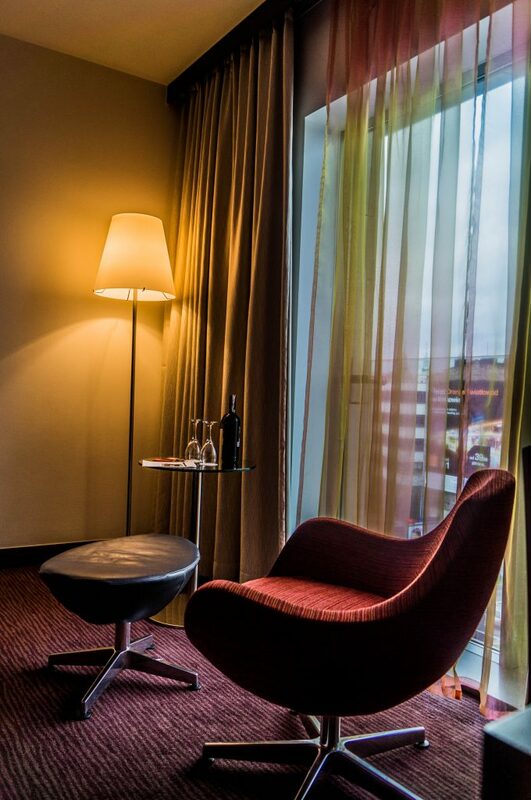 Smart Hotel Forus is situated not far from the city centre, a 14-minute taxi will get you there before you know it. 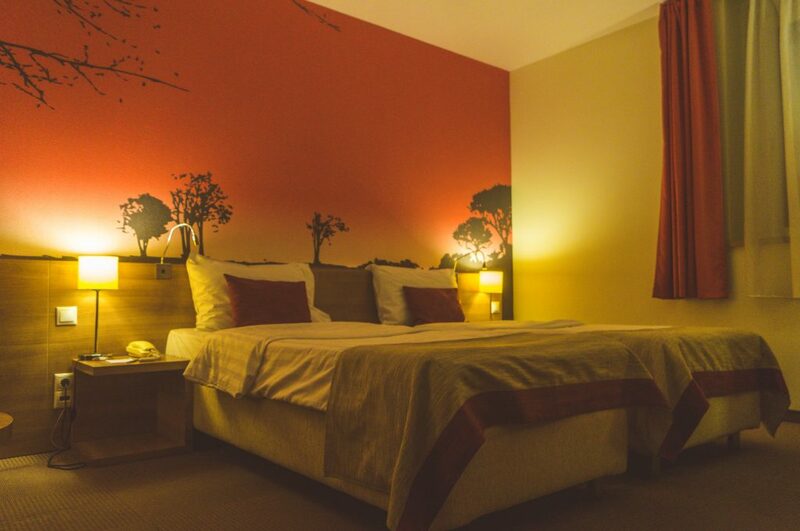 Whilst being a budget-friendly hotel, all rooms have everything needed for a comfortable and smart stay. 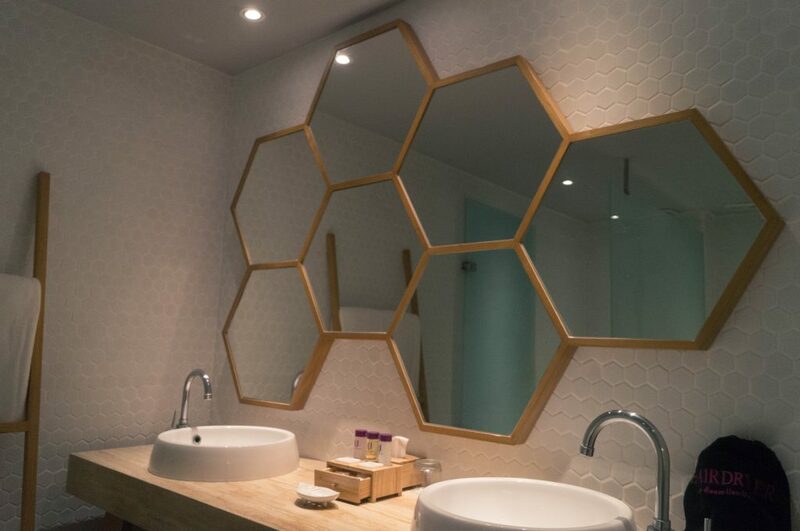 Each and every room is equipped with a bathroom including shower, very (very) comfy beds, large pillows, work-desk, free WIFI and a flat-screen TV. Stavanger is well known for the incredible fjords and the popular Pulpit Rock (Preikestolen). 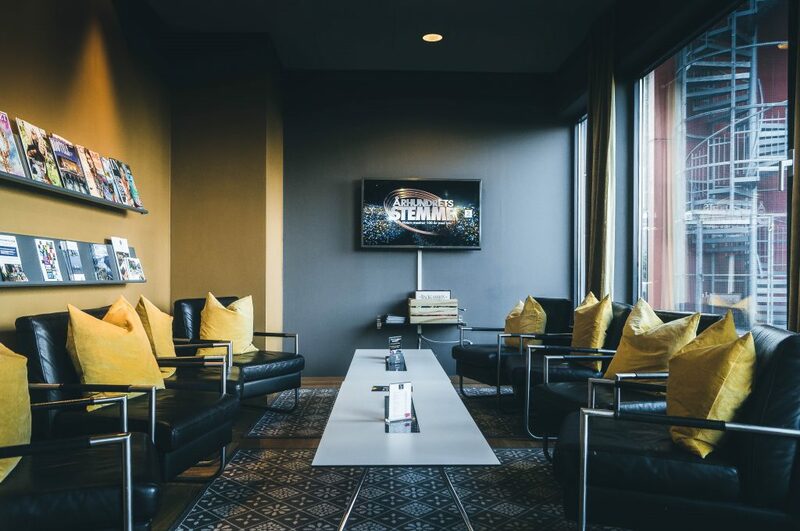 With the beautiful city streets and attractions all close by, staying at Smart Hotel Forus gives you access to all major attractions within a short distance. 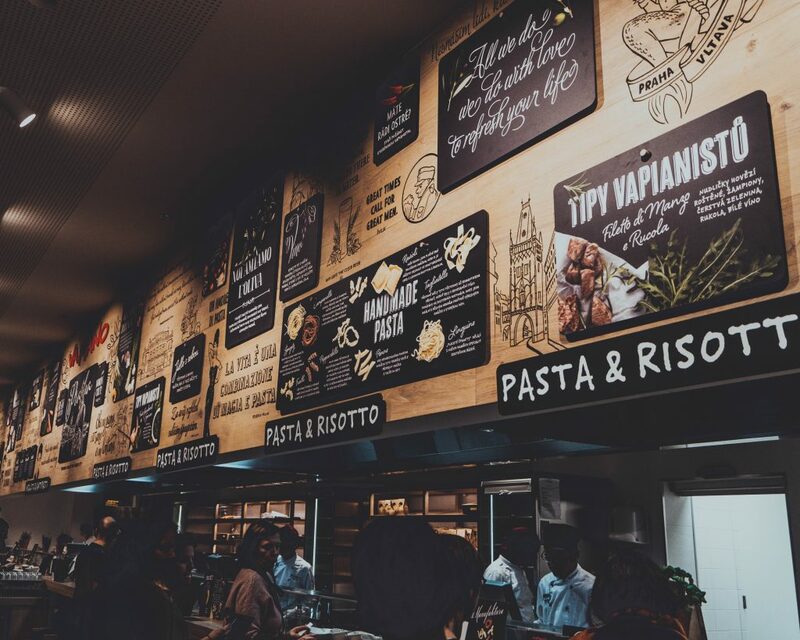 You’ll be able to relax and unwind in a quiet location with plenty of dining options nearby including Domino’s for those pizza lovers out there. The hotel is also situated right next to Kvadrat, Rogaland’s largest shopping mall with a total of 170 stores, 60 of which are clothes, shoes and fashion related. After checking in at Smart Hotel Forus which was extremely simple and very quick, I proceeded to my room on the fourth floor, room 430. 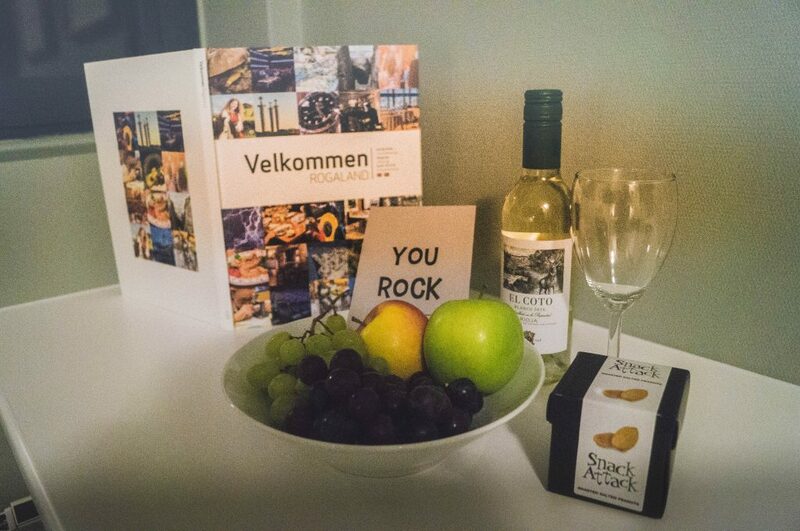 I was greeted with a very nice welcome gift which made the evening even better after a busy day at work and then, of course, the flight to Norway. Due to the location of the hotel being situated a little out from the centre, you will be required to use transportation. 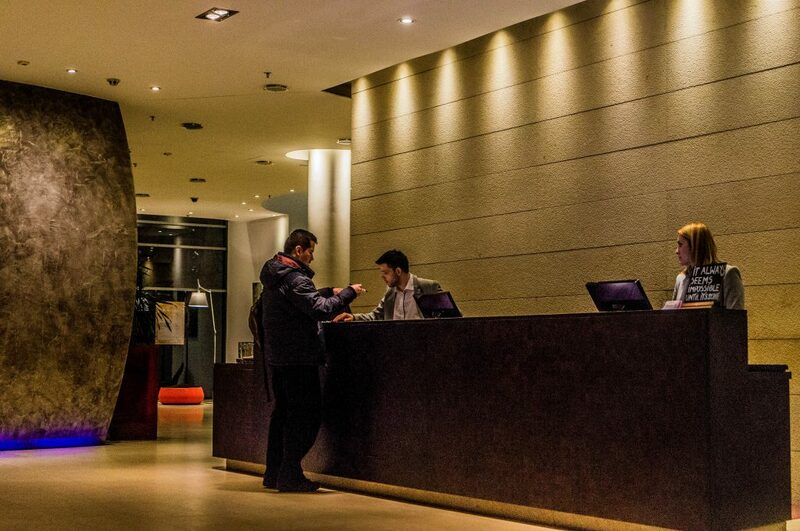 The friendly and very helpful staff at Smart Hotel Forus are more than happy to help with booking a Taxi. The only thing that I was concerned with, just like any traveller would be, is that there was no safe in the room. Other than that, I’m happy to report, the hotel came equipped with the basic needs for a short city break stay. The hotel offers both breakfast and dinner every-day of the week. For breakfast, it’s a Scandinavian buffet every day, Monday- Friday: 5.00 a.m. – 10.00 a.m and Saturday- Sunday: 6.00 a.m. – 11.00 a.m. The price of breakfast is 125 NOK, however, if you book directly with the hotel you will receive complimentary breakfast. For dinner, it’s an evening buffet which is open from 5 p.m.- 9 p.m Monday-Thursday and on Sunday’s it’s a pizza buffet. 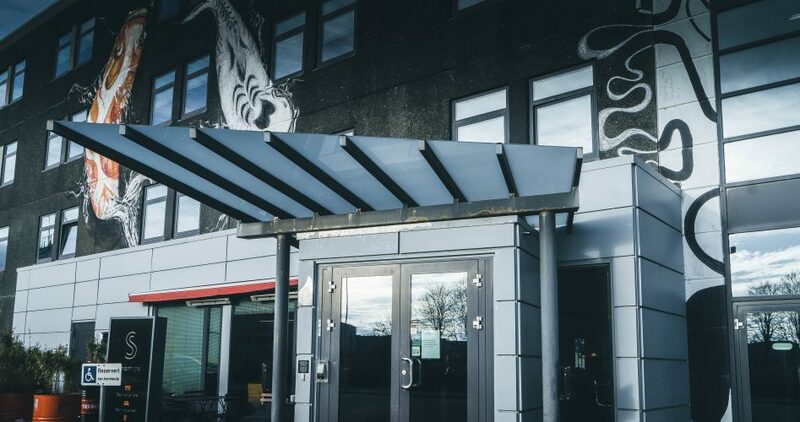 If you’re looking to make the most of Stavanger, exploring the local attractions and not be situated directly in the centre with everything going on, then Smart Hotel Forus is the perfect hotel. 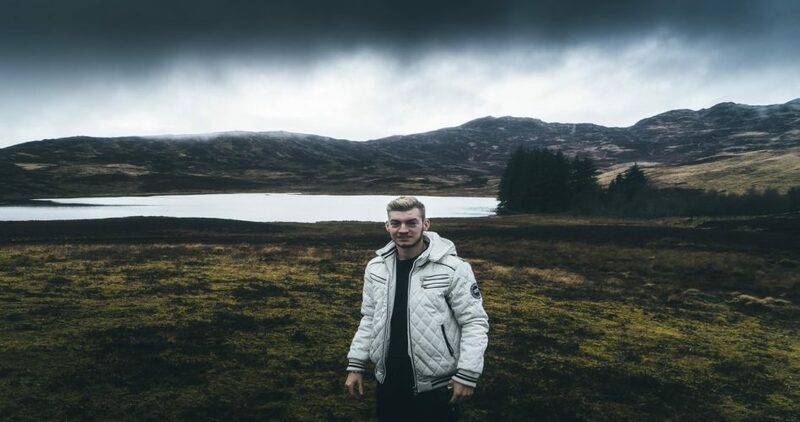 With cheap accommodation, high quality, simplicity and comfort, you will be able to enjoy Stavanger on a budget and create memorable experiences. The staff at the hotel are very friendly and will do whatever they can to make your stay the best it can be. Disclosure: My stay was hosted by Smart Hotel, but all views are my own and reflect my stay accurately. Finding the right ticket for your travel experience is not always easy, a mix of price, quality and speed is necessary to make the best out of your purchase. 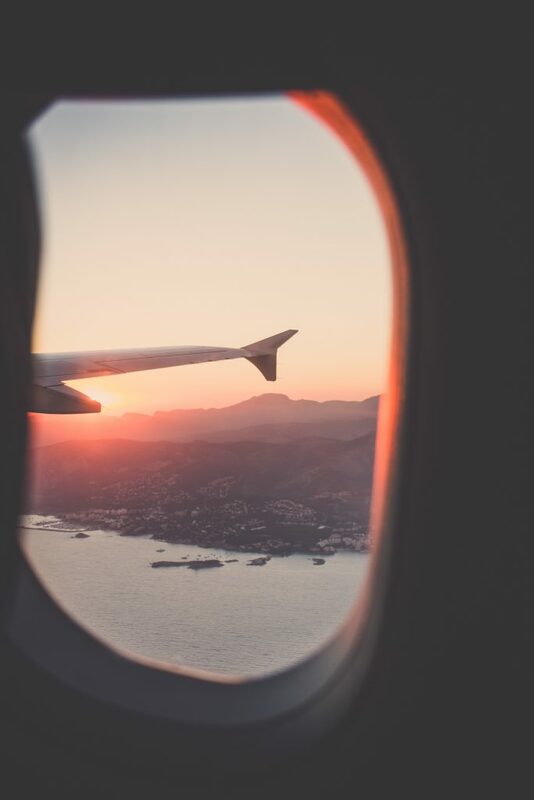 In this article you will discover some quick handy takeaways for when planning a vacation whether it’s solo, family or business, these tips will help you grab a bargain flight. The first thing you need to take into account is your departure and your arrival airport. 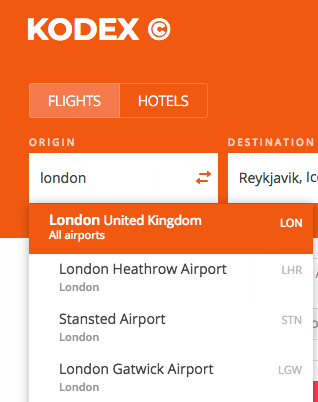 Do some research to find nearby airports that would be suitable for you to travel to. The more airports the better chance you’ll grab a bargain flight. Some airlines fly from different airports and therefore could make your flights cheaper. 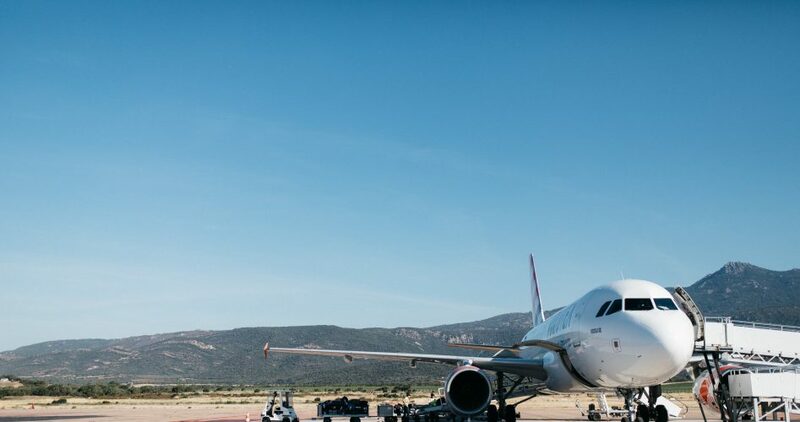 You should also consider if possible, flying from one airport and then flying back at a different airport on your return flight – this is one of the best ways to find a cheap flight, but it can also be a pain, especially if you’re driving. A recent example of this is booking a flight to Norway for this month. 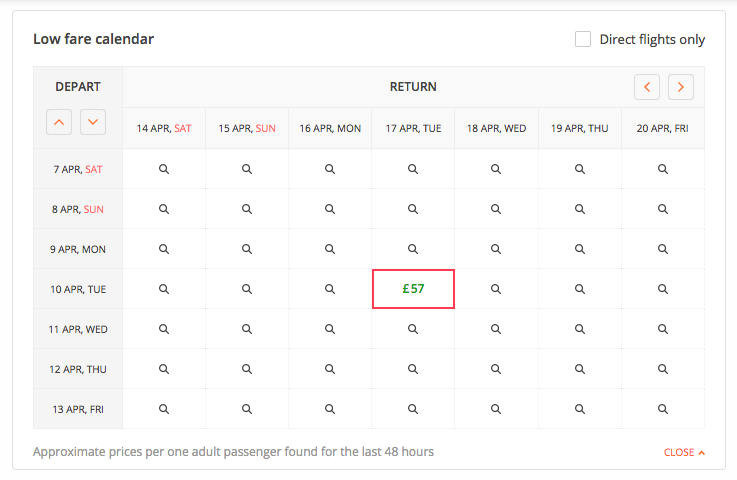 I searched for flights to Stavanger from my local airports, all of which returned with prices of over £600…pretty expensive! When I searched for other airports nearby, I grabbed a return flight for £80. 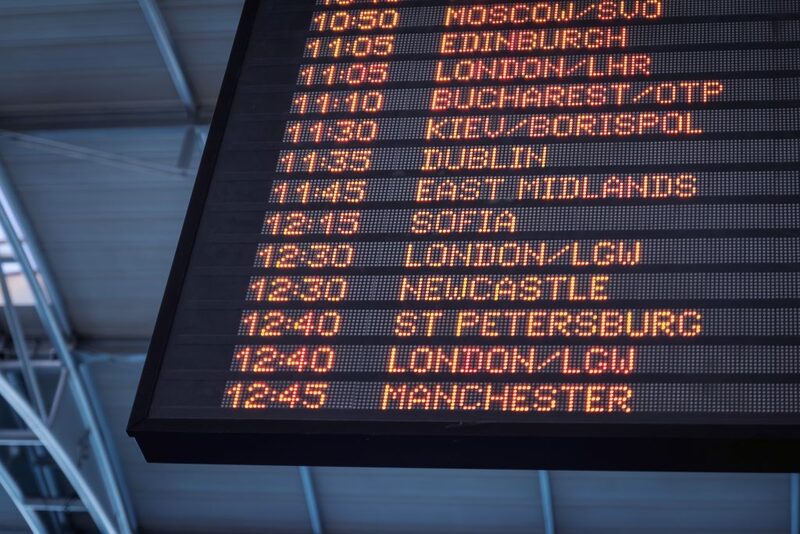 Whilst it’s still possible to grab a bargain return flight like I did, sometimes purchasing one-way tickets from different airlines can make the overall trip cheaper. 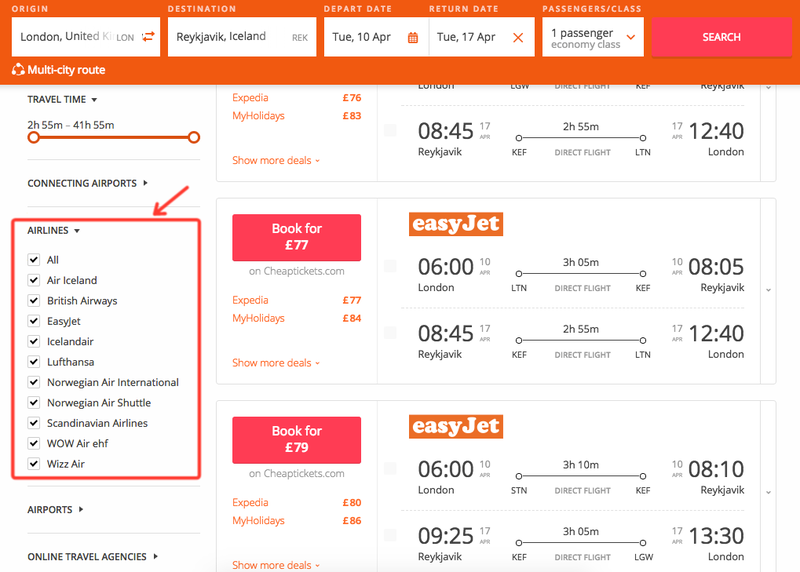 Using sites like KODEX Travel can help you discover cheap last-minute flights and also give you prices for flights a year in advance, making sure you grab a bargain. You can search for specific airlines on most flight finders, for example like the below on KODEX. 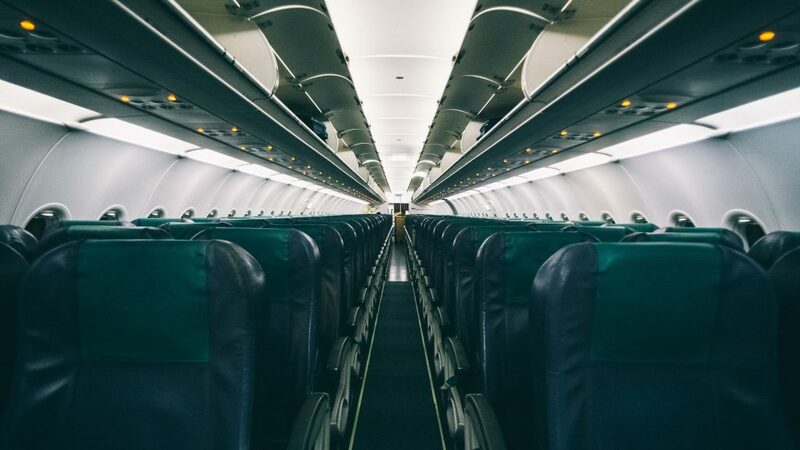 Whilst it may not be the best experience and if you prefer to fly in style, you’ll definitely be saving some cash by using budget airlines or purchasing the lower class seats. This is a great idea if you’re looking to travel frequently visiting more countries at a low cost. Not all low-class airlines are that bad and if you are only flying for a few hours, then stick your headphones in and you’ll be landing before you know it! One of the biggest tips for finding cheap flights is by utilising low-fare calendars to identify dates that have cheap departures. Research suggests that flights during the week are usually much cheaper than at the weekends. Typically purchasing departure flights on Saturdays can be quite pricey, so departing on a Thursday and flying back on a Sunday would usually give you a cheap flight and a long weekend to explore your next city and create memories. When searching for cheap flights, the timings of your flights can be a big factor. Flights during the day will most likely be more expensive than those that are early-hours or late-night flights. If you are not too bothered with flight times, you should definitely consider looking at the times. For my upcoming Norway trip, I’ll be flying at 8:30 pm on a Friday and arriving around 10 pm. My flight back on Sunday isn’t too late either, meaning I’ll still be able to explore and make the most of my time. If you are an early-riser like myself, you’ll find that these sort of flights aren’t too bad. Of course, when at the destination, you could always wake-up earlier to make the most of your time. I’d love to know what you think of these tips and if you have any of your own, feel free to share them in the comments! First of all, Happy Belated New Year. Yes, this post is a little late and I apologise for that, however, I wanted to start off 2018 with this post. Last year was an incredible year. It was the year that I started to get into travel a lot more, like seriously, so much that I got the travel bug and visited 9 countries. It was also the first time I solo travelled, Poland being my first solo destination. December was a very busy month, of course with Christmas and my 21st birthday, but also visiting 3 countries. Hungary, being my favourite out of them all. I visited Budapest for three nights. It’s such a beautiful city, especially during Christmas and at night with all the lights lit up. After spending time there, I then began to move on to my next destination Bucharest, Romania. That was also a great city – they had a lovely Christmas market right in front of the Parliament building. 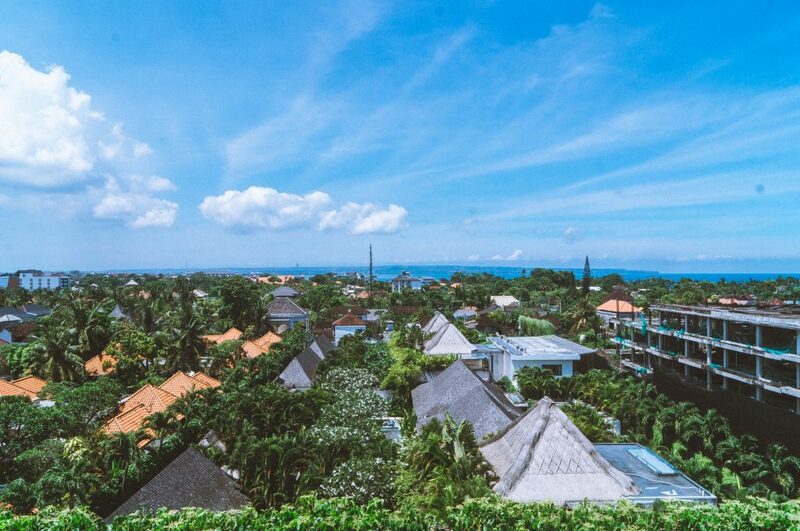 For 2018, I plan to visit more countries, some long-haul destinations such as Bali, Barbados and maybe a few others. Feel free to recommend some in the comment section below. I also plan to continue doing Europe city-breaks every few months, hopefully visiting more countries than last year. Whilst I’m only twenty-one, I had set a goal a few years back to visit 25 countries before 25. If I can reach that goal by 22 I will be very happy and will proceed with a bigger goal. Thinking about it, I’m not too far off (19 countries), so this should be quite an easy goal. I’m thinking jumping up to 50 countries before 30. That could be an interesting one. The countries I plan to visit this year are below. Any others I visit will most likely be close to those destinations. 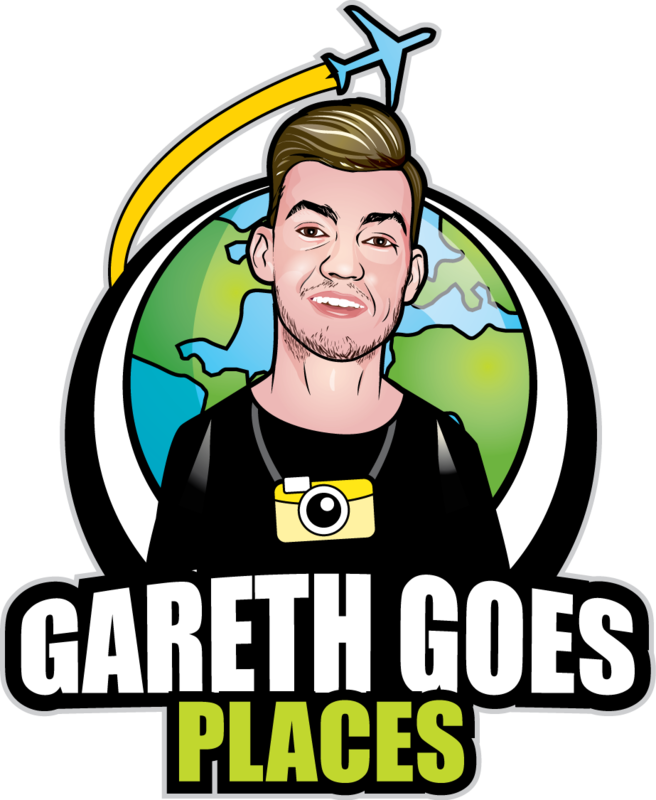 When you can find flights from £10 return, it’s hard not to take up that offer, so expect plenty of blog posts and photos from my travels this year. So, that’s all for now! Where do you plan to visit this year? – Let me know in the comments below! As all, feel free to follow me on Instagram and reach out to me on Twitter if you have any questions! Location: Expo Congress Hotel Budapest, H-1101 Budapest, Expo tér 2. Rooms: 120 standard rooms, 36 superior rooms, 4 disabled access rooms. Top Tip: Make sure to check out the Sky Bar and enjoy a few drinks relaxing with a nice view. If you’re looking to go for a short city break and admire amazing views and stunning architecture, Budapest, Hungary is a great choice. Expo Hotel Congress is situated not far from the city centre. A short 16-minute tube will get you there in no time. 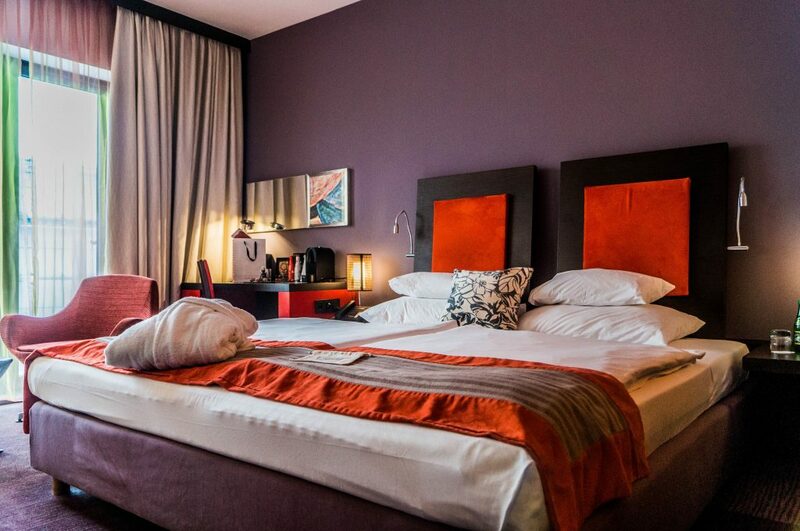 There are a total of 160 stylish rooms at Expo Hotel Congress. 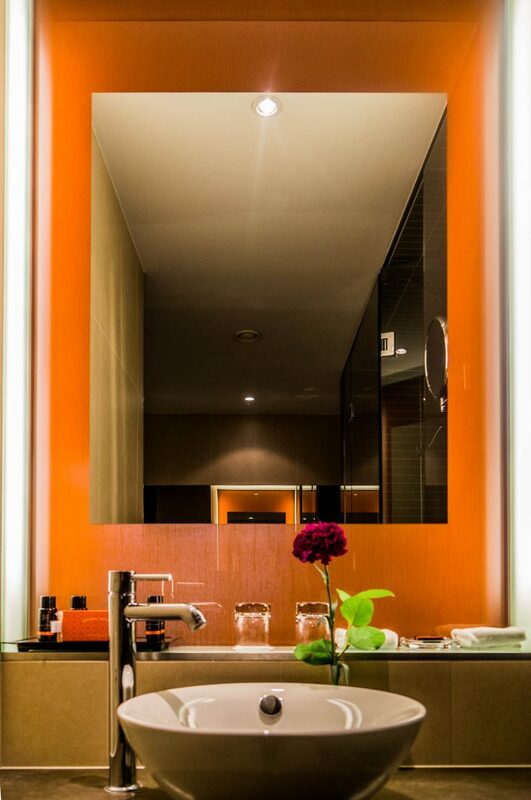 All rooms feature nice designs and consist of the basic hotel facilities. Budapest is well known for its beautiful buildings and stunning architecture. 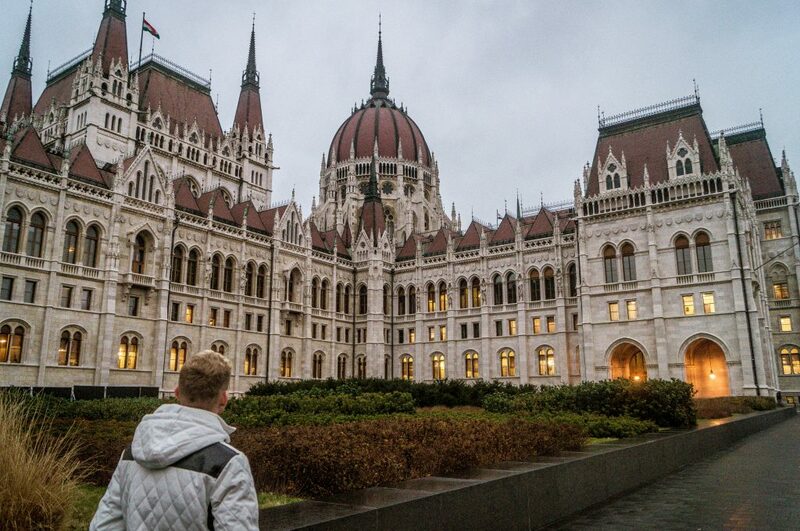 There is plenty to see and explore around Budapest. 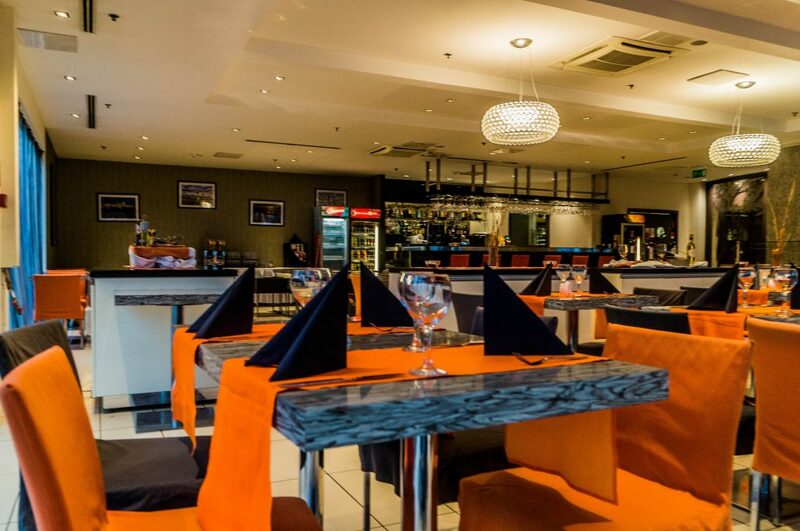 With the hotel being situated not far from the city centre, you’ll be able to relax and unwind in a quiet location in a more local less-touristy area. The quickest way to get to the city centre is via the Metro which is situated right near the Puskás Ferenc Stadion – a short 24-minute walk. After checking in at Expo Congress Hotel, we explored the local area and came across a Burger King not too far from the hotel itself. We decided to grab some food from there and explore more areas. Due to our arrival time in Budapest, we didn’t manage to explore the city until the following day. 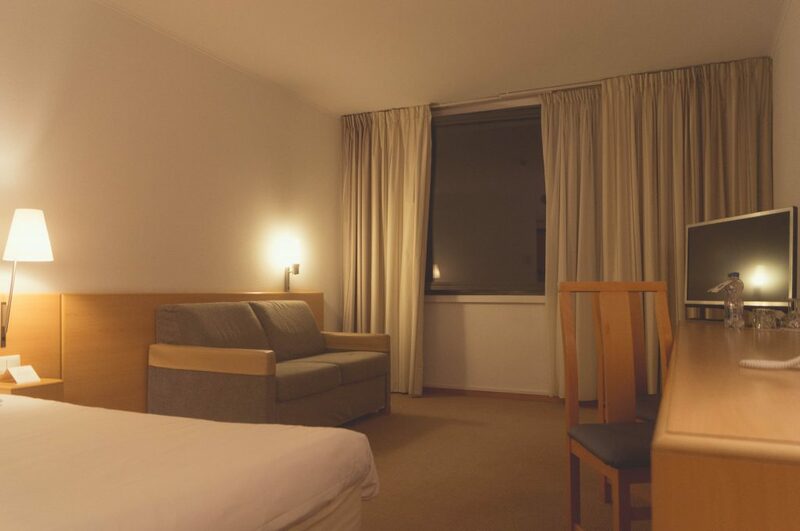 Due to the location of the hotel being situated a little out from the centre, you will be required to use public transport to access the main attractions – but don’t worry, if you pick up a 24-hour or 72 hours Budapest card, you’ll be able to travel on the Metro, Trams and Buses using your ticket. Upon arriving at Expo Congress Hotel, there was no queue so we were able to check-in within minutes. We stayed in the Superior room on the 9th floor with a front-facing view towards the Castle and Parliament in the distance. 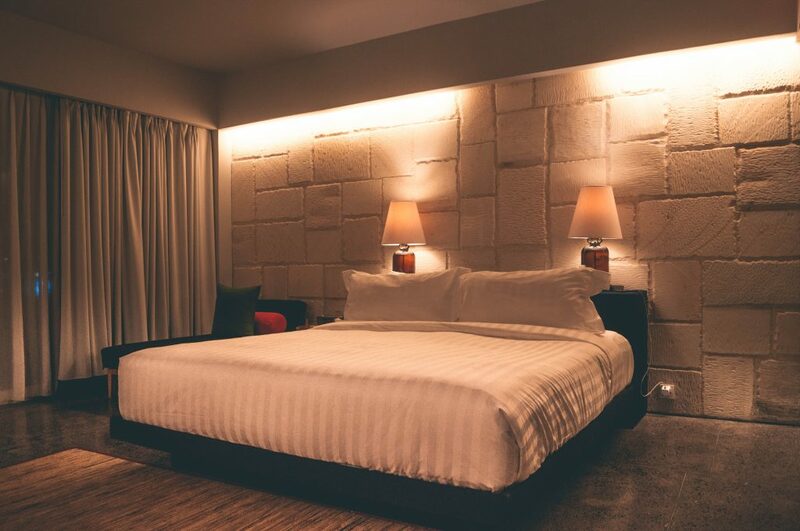 The Superior room accommodates up to two people in single beds or a double, upon your request. After stepping inside, I was very happy with the room. It was pretty spacious and stylish and consisted of the usual hotel room facilities. What was very handy that I’ve not come across in other hotels during my travels, is the travel-buddy phone they provide to guests. 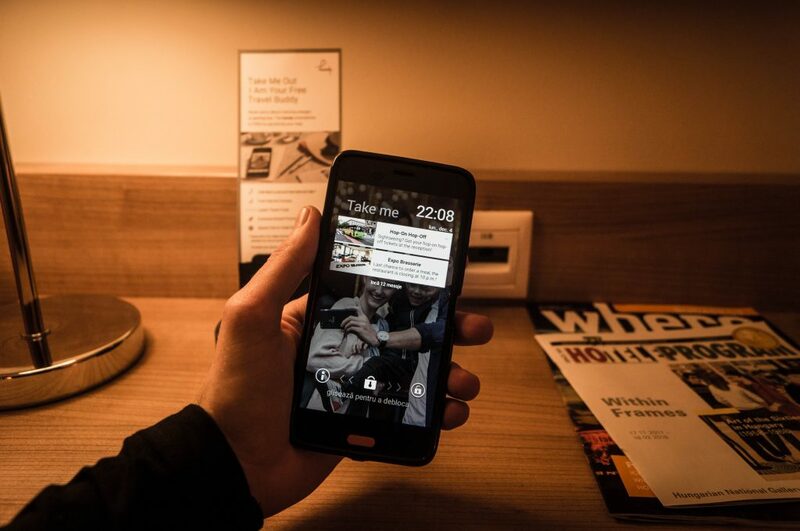 In your room, you’ll find a smart-phone docked with interesting Budapest attractions and guides along with more hotel information. This makes your trip more enjoyable knowing you don’t need to worry about your data usage on your own smartphones. I’m happy to say, the hotel came equipped with the basic needs for a short city break stay. Expo Congress Hotel has a bar and a restaurant. 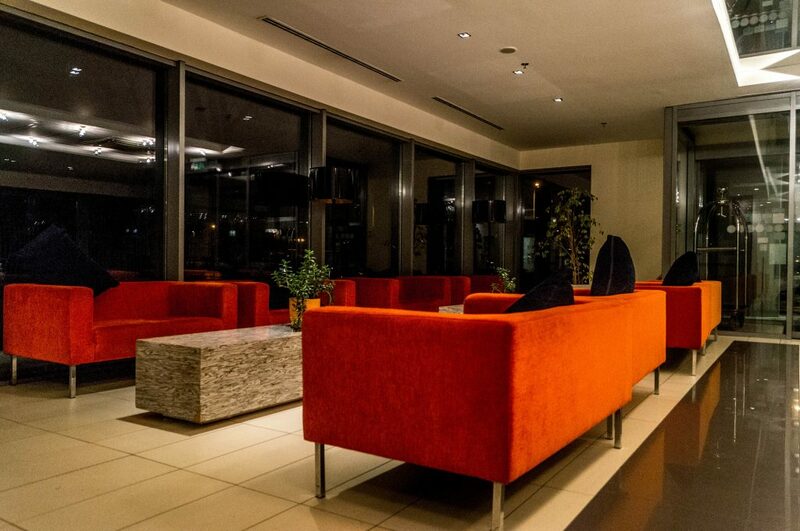 The bar is available on the 12th floor and is open from Tuesday to Saturday, 17:00 till 24:00. 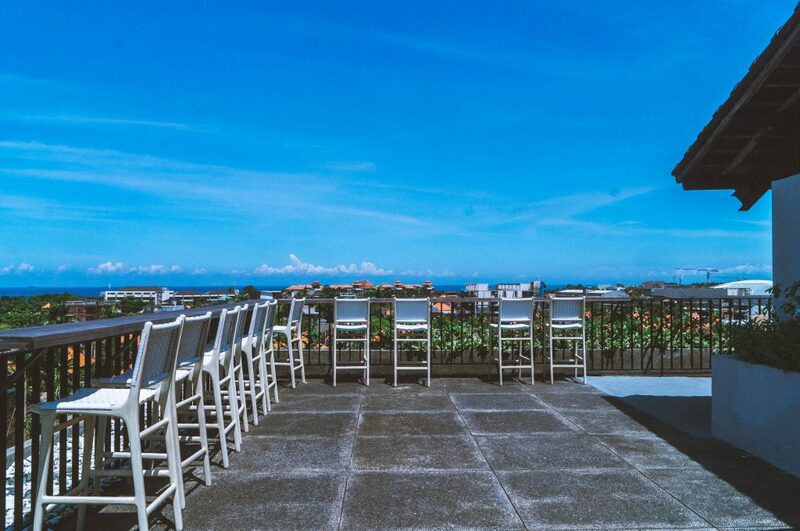 Whilst you can’t order major food and snacks, you can take advantage of the happy hour promotion and great prices for an evening drink with a lovely view. 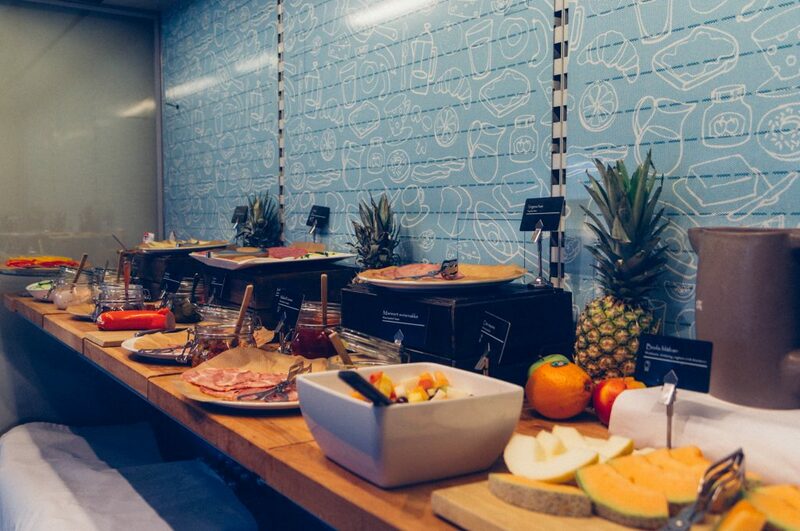 The food available in the morning at the Expo Congress Hotel restaurant concluded of the usual all-you-can-eat buffet breakfast. 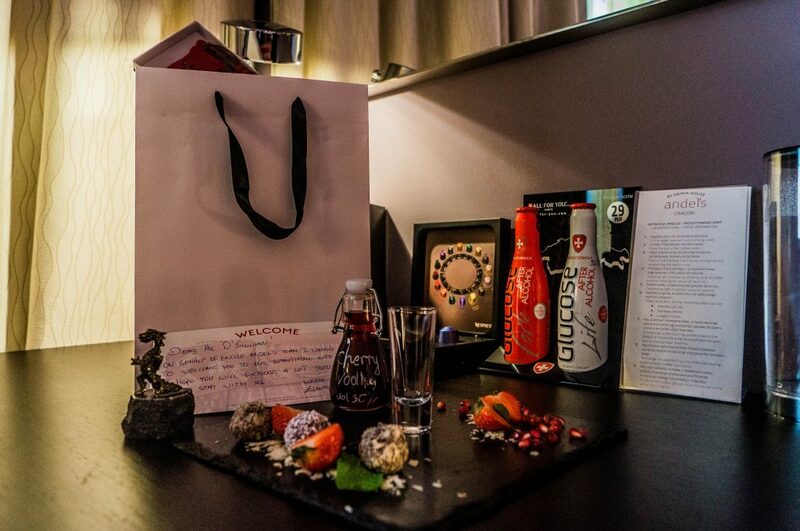 You can also request the breakfast to be delivered to your room for a small cost. The dinner menu was quite interesting. I opted for the stuffed chicken with pasta, it was pretty nice and needed after a long day of exploring. The hotel has various spa facilities which include, a sauna, steam bath, jaccuzi, relaxing area and sundeck terrace. Other facilities available in the hotel include the fitness studio, which consists of various machines, dumbbells and access to the sundeck terrace. Both are open from 7am to 10pm. Travel buddy phone – Extremely handy! 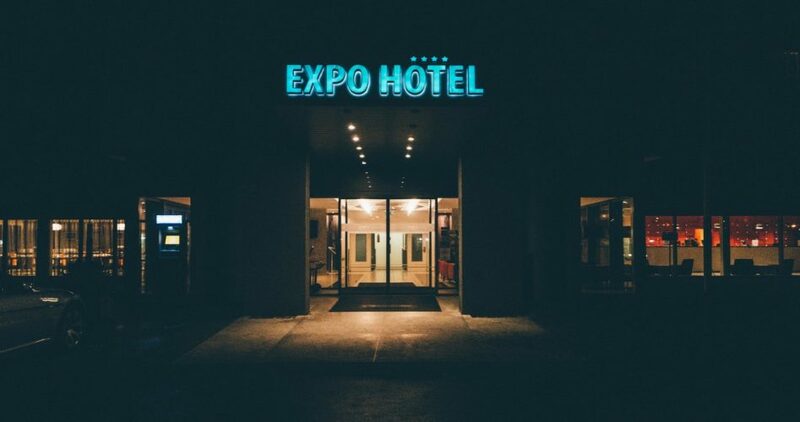 If you’re looking to explore Budapest for a few days and not be situated right in the centre with everything going on, but still a short metro ride away, then Expo Congress Budapest is the ideal hotel. All rooms are very stylish and easy to access via lifts or stairs. The staff at the front desk are ready to help if you have any issues during your visit. Disclosure: My stay was hosted by Expo Hotel Congress, Mellow Mood Hotels, but all views are my own and reflect my stay accurately. Craving a city break but not sure where to go? 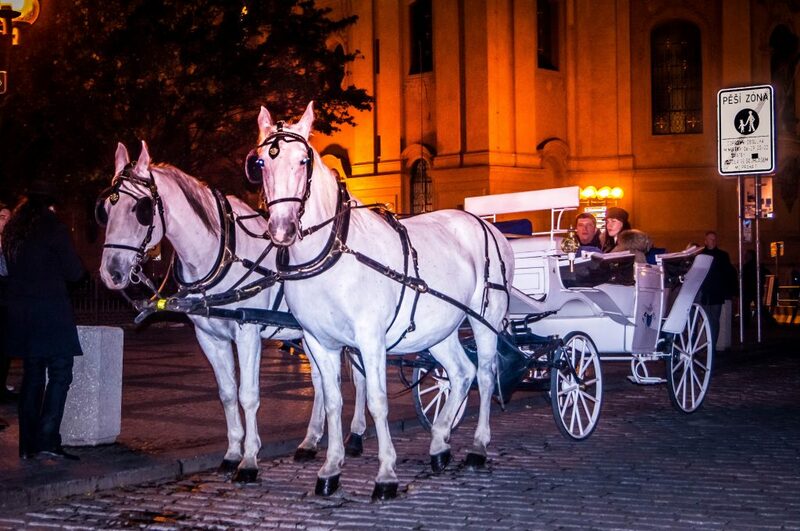 Krakow in Poland is a great choice. Krakow has plenty to offer, from its beautiful sight-seeing attractions and tours to a variety of popular restaurants and bars. 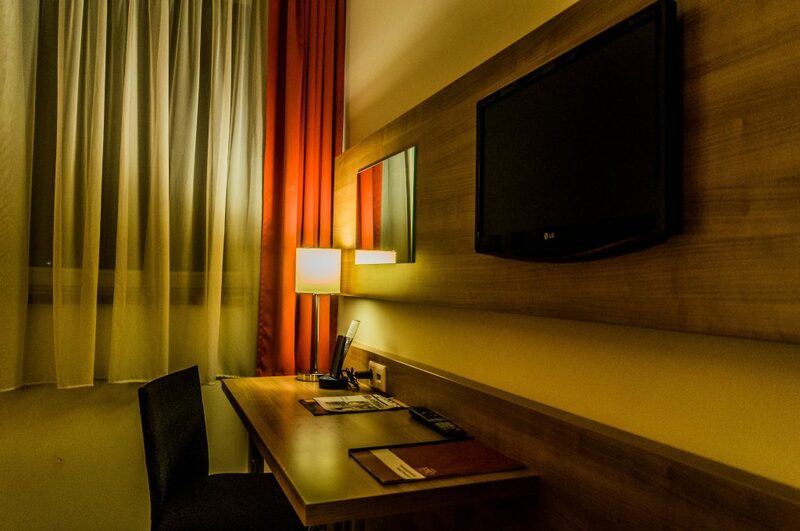 Accommodation in Krakow is really good, whether you’re looking to stay in a more relaxed environment or opt for a luxurious city break stay, there’s plenty of hotels to choose from. 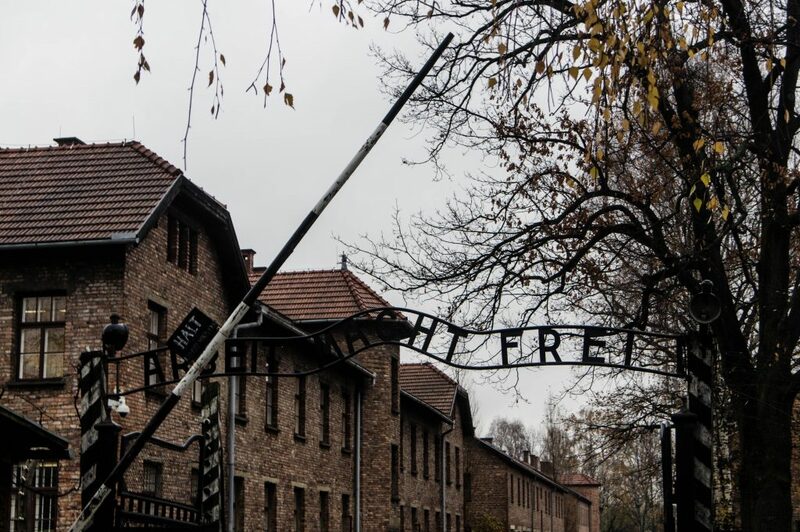 I visited Krakow on a solo travel adventure for three nights, and during my trip, I visited the major attractions which included; The Main Market, St. Mary’s Basilica, Wawel Cathedral and Castle, Kazimierz – former Jewish district, Auschwitz, Salt Mine and more. The great thing about this city, is that the majority of popular attractions and those that I wanted to visit, were all within walking distance – resulting in not having to use public transport or Taxis. In this article, I’ll be covering the top places you should visit if you decide to book a trip to Krakow, Poland. Krakow’s main market square (Rynek) has plenty to offer. There are beautiful surroundings and buildings that will make you want to explore more of the local areas and find the hidden gems of Krakow. #Krakow sure is an amazing place. If you ever go there make sure to visit the Main Market Square – where I took this shot! There’s so much to offer. 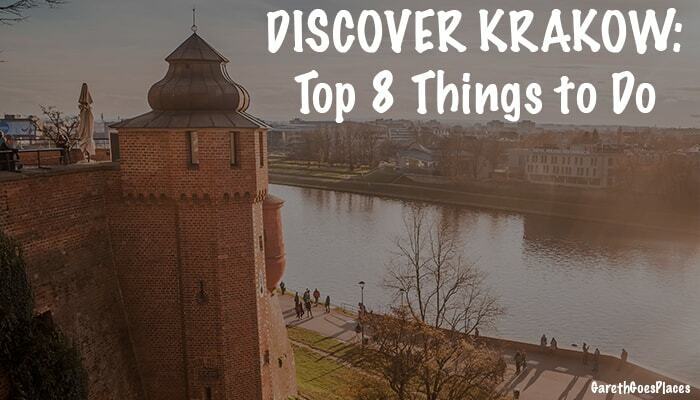 Have you been to #krakòw, Poland? The Main Market in Krakow, is stunning both in the day and at night, with all the lights lit up and restaurants with outside seating with fires on. No better way to enjoy Krakow at night dining at the 200 metre square. Fact: Did you know, Rynek is one of the largest medieval squares in Europe and is surrounded by townhouses with unique names with interesting history behind them. When you visit Old Town, St Mary’s Basilica is beautifully situated at The Main Market. The church has stunning architecture both on the inside and outside. If you’re into gothic style buildings, you’ll love this. To enter the church, you’ll need a ticket. The cost of tickets is 10/8/5zł (kids under 8 go free). Tickets can be purchased in a separate building across from the tourist entrance. Fact: St. Mary’s Basilica was rebuilt in Gothic style after Tartar raids in the 13th century which ended up leaving the original church in heaps of ruins. The Cloth Hall is at the centre of Krakow’s Main Market Square. Inside the small shopping mall, you’ll find various handicrafts and local products. It’s worth visiting as the prices are quite reasonable! Fact: Back in the old days, the merchant stalls in Cloth Hall sold wax, spices, leather and silk. 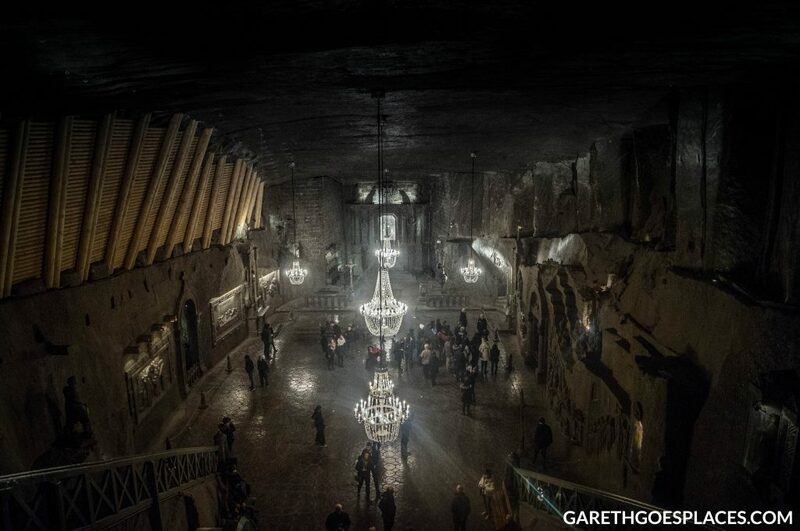 They also sold lead and salt from the nearby mines such as Wieliczka. If you visit Poland, Wawel Cathedral is a must. It’s by far one of the most important buildings. Situated on the hill is Wawel’s Cathedral and Castle. A step inside is definitely recommended to get the full experience. There are also various other buildings close by, which are worth a visit after taking a short break at the cafe located right near the Cathedral. 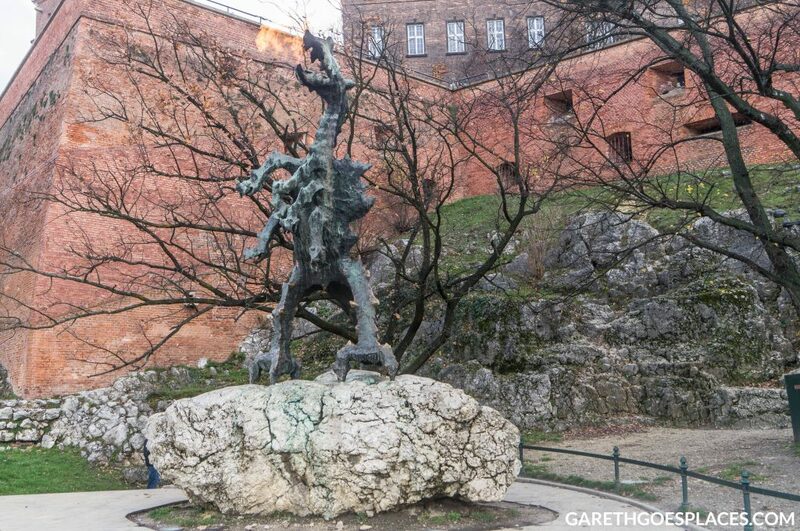 Located right near the Wista riverbank below Wawel Castle is The Wawel Dragon, a sculpture by artist Bronisław Chromy. The Wawel Dragon is believed to be a Polish traditional legend. 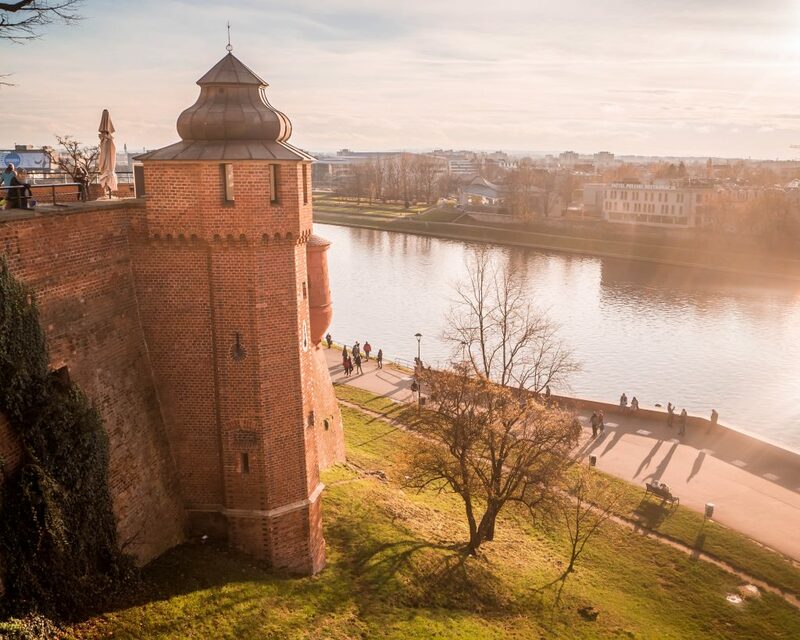 If you’re visiting Wawel Castle then a visit to the Dragon is a must, especially since it’s just below the castle near the riverbank. If you visit at the right time or wait a short while, you’ll catch the Wawel Dragon breath fire. History lover? 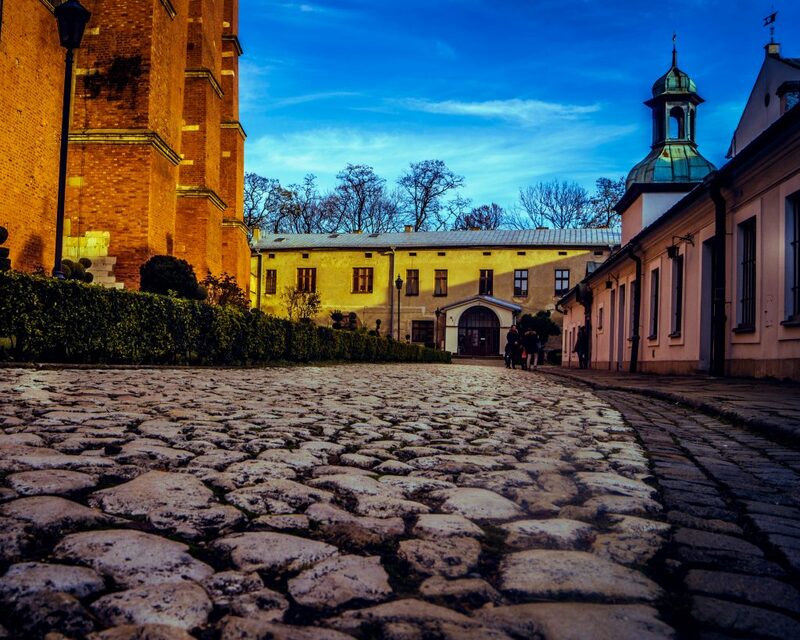 You’ll enjoy a visit to the Kazimierz – former Jewish district. There’s lots of history behind this place and it’s quite interesting. 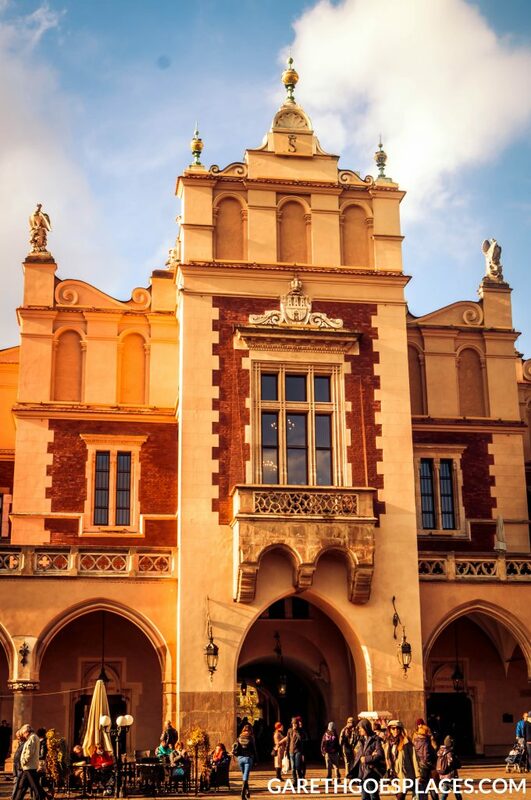 Whether you read up about it or take a tour, it should definitely be on your list to visit whilst staying in Krakow. Kazimierz is also known for its cafe culture and the nightlife. 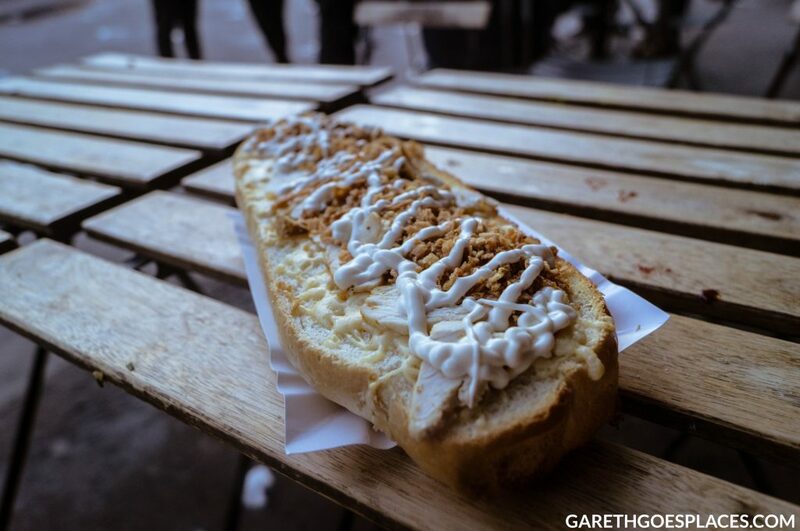 If you visit, I’d recommend grabbing a Zapiekanka there. They are very tasty! Whilst very touching, it’s a must if you visit Krakow. You’ll really understand what it was like, and learn more in person than watching documentaries. I visited on a Tuesday and the weather wasn’t great at all, which made the experience more dramatic and touching. It’s very busy, even during the week. If you decide to go, I would highly recommend booking a tour or purchasing a ticket in advance. My tour guide was very knowledgeable and gave a lot of details about the concentration camp and the horrendous things that went on during the devastating times. The Salt Mine was a good experience, even after walking down 800 steps…don’t worry – there’s a lift to bring you back up to the surface. Located in Wieliczka, The Salt Mine is famous for its pits, chambers and everything else within its depths. The sculptures inside the mine have all been carved by hand from salt blocks. – They are very cool! There is a lot of walking involved in this tour, and they usually last two hours, sometimes three, so make sure to wear comfortable clothing! For the best experience, I would recommend booking in advance to ensure you get enough time to visit the whole mine as it gets quite busy at times and visitors are always guided in groups. Top Tip: Try out the Italian Chardonnay at Oscar’s bar. 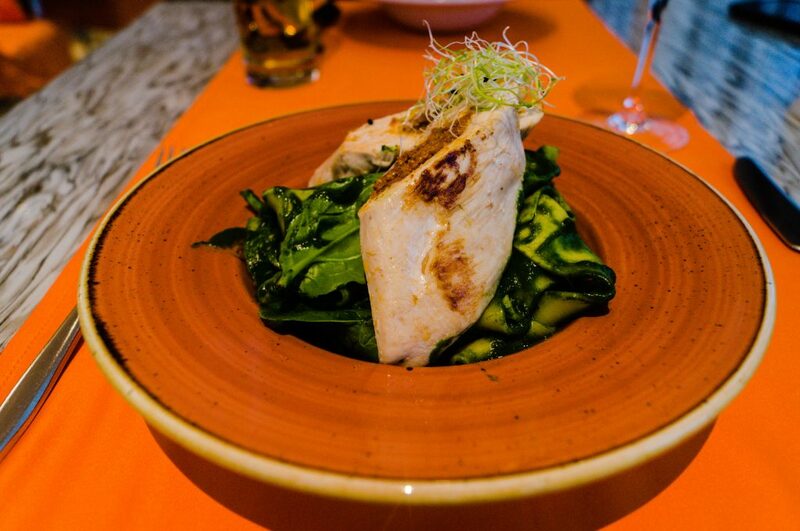 If you’re into your pasta, give the Tagliatelle chicken and spinach a go – that was delicious. After a long day of sight-seeing, I recommend getting a massage at Vienna House Andel’s Cracow. 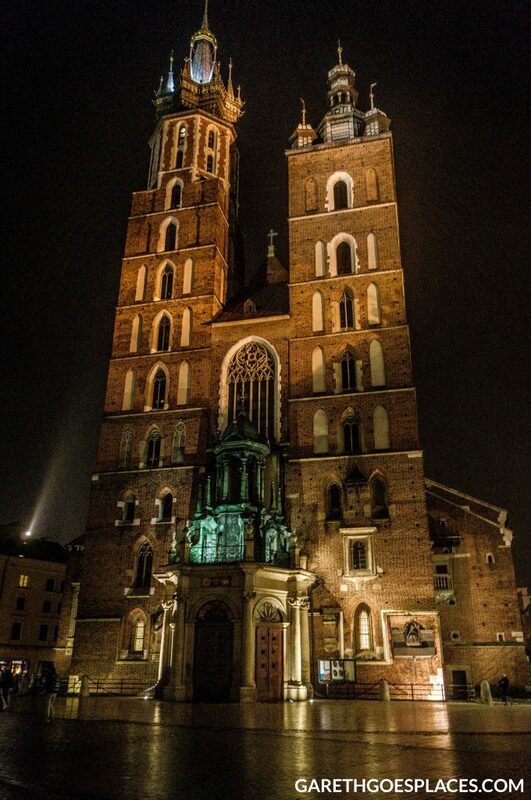 If you’re looking to explore Poland, Krakow is a great choice. There’s plenty of history to be learned, lots of attractions to visit and sight-seeing to be done. 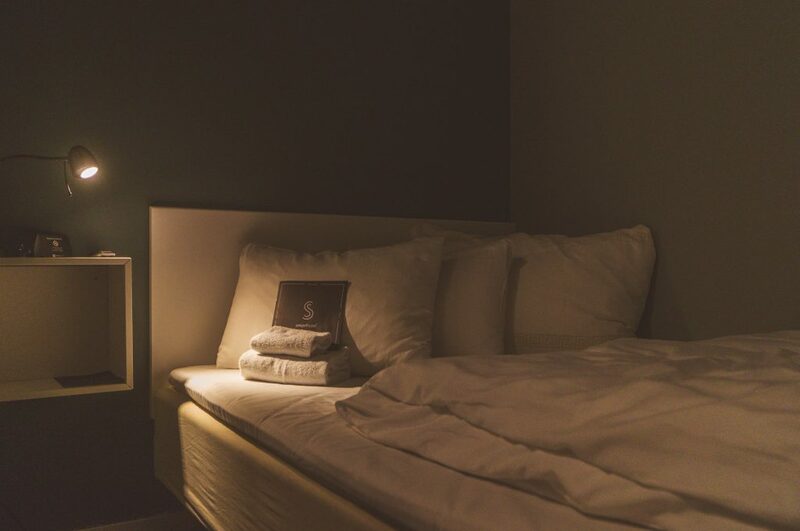 Vienna House Andel’s Cracow is the perfect option if you would rather a luxurious stay for several nights with everything within walking distance. Each and every room at Vienna House Andel’s Cracow feature state-of-the-art amenities. 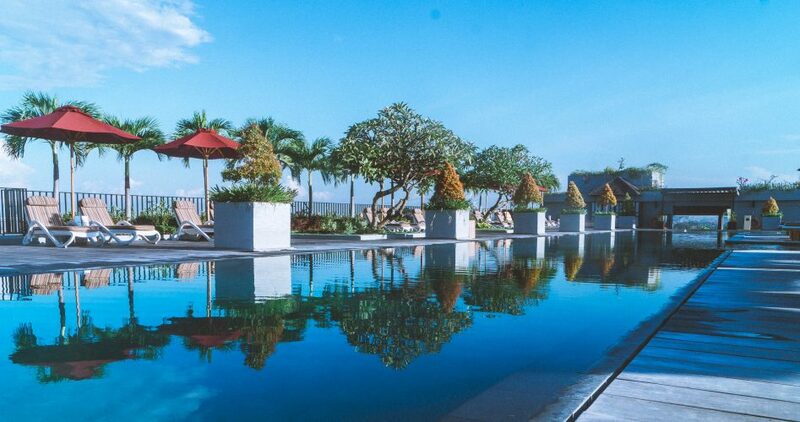 The hotel consists of 159 rooms and suites – standard, superior, executive and suites. 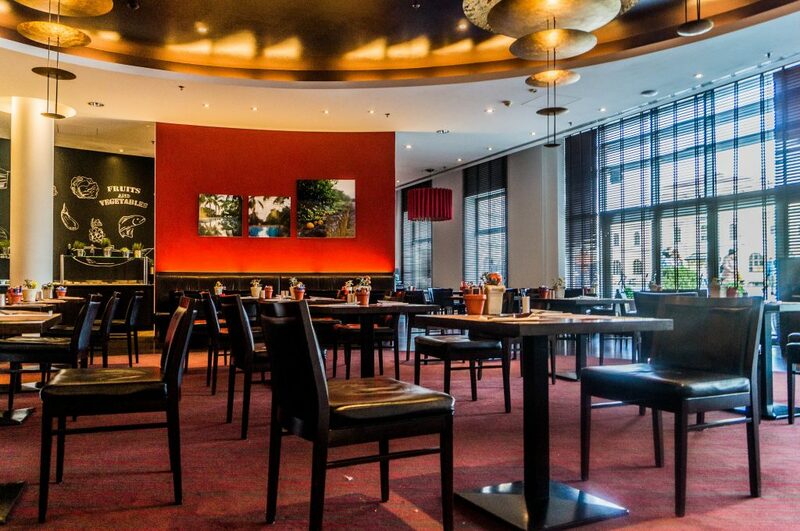 Andel’s Cracow by Vienna House offers its guests various options. these include restaurant and bar with terrace, spa and fitness facilities, 24/7 reception and room service, free high-speed WIFI, underground parking spaces. Krakow is a popular tourist location with lots to offer. Vienna House Andel’s Cracow is situated in the heart of Krakow with everything within an extremely short walking distance. Honestly, there’s no need for public transport. I’ve not used any throughout my duration of my Poland trip. Upon arrival of my stay at Vienna House, I was immediately impressed with the location and surroundings. Andel’s Cracow has a tram station less than a minute’s walk, a massive shopping mall right outside, and access to smaller shops from the underground passageway. Vienna House Andel’s Cracow is centrally located in Old Town giving you plenty of sight-seeing and photo opportunities within minutes of exploring. 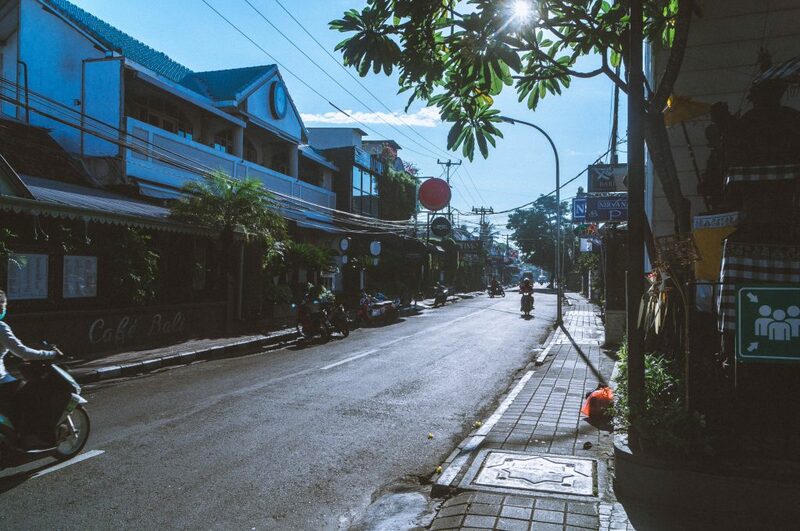 After checking in, I would highly recommend exploring the local areas and taking in the sights both during daylight and at night with everything lit-up. Once I arrived at Vienna House Andel’s Cracow, I was given the Superior room – a luxurious room equipped with a double bed, a very fancy bathroom with both a shower and bathtub (with a beautiful neon lighting option – perfect for that relaxing bath after a long day of sight-seeing), LCD TV with DVD and CD player, super-fast free WIFI, a big safe, minibar with luxury coffee and tea making facilities, daily digital newspaper, DVD library and the option to have free breakfast delivered to my room – what else do I need? This is perfect. After stepping out the lift, I was faced with various room doors, all of which were designed very well. Once I opened the door to my room, I was amazed to see such a beautiful room layout with lots to offer and presented very well. I’m not even sure where to begin. Hopefully, the pictures above will get my point across, but let’s just say, I was extremely pleased with everything the room had to offer. Also, I would like to thank Lukas for the amazing welcoming gift. For my first night stay at Andel’s Cracow, I was excited to try out their dishes. I went for taglitelle chicken and spinach dish. It was delicious. For the cost of £6 it was superb. The presentation was great too. Yet another glass of Italian Chardonnay was accompanied beside this dish. The wine of which I’ve just taken a sip of as of writing this sentence. Vienna House Andel’s Cracow has a spa and fitness studio available to every guest at the hotel. They also have a sauna and massages available – I booked in for a massage on Sunday night. Considering I booked quite late at 6pm, they still organised a massage for me later that night at 7:45pm. The massage was great and really made me feel relaxed afterward. 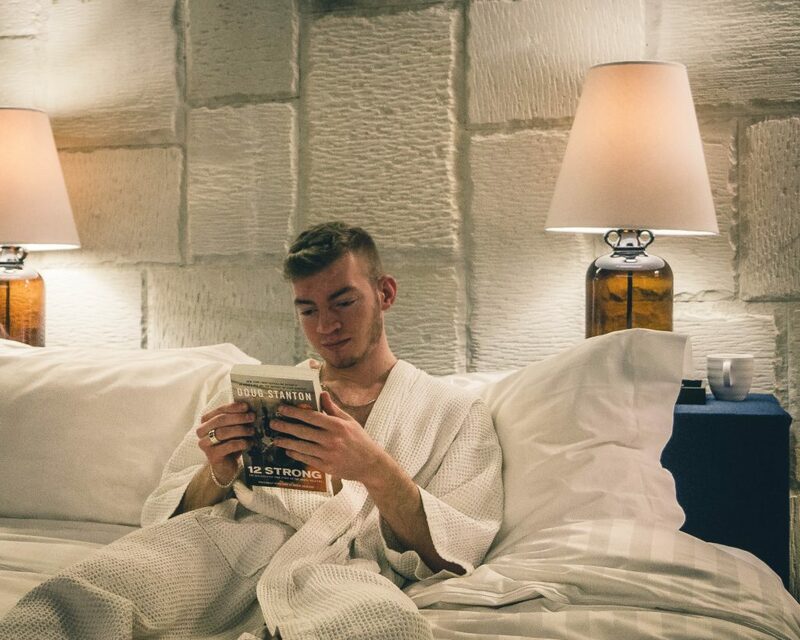 I couldn’t help but get into that bathtub with the neon lights straight after dinner and a few more glasses of the Italian Chardonnay – which I highly recommend. This completed my night. Early check-in or late check-out on request – this was perfect for me, I was able to check-out at 6pm for my flight, yes that’s 6pm! 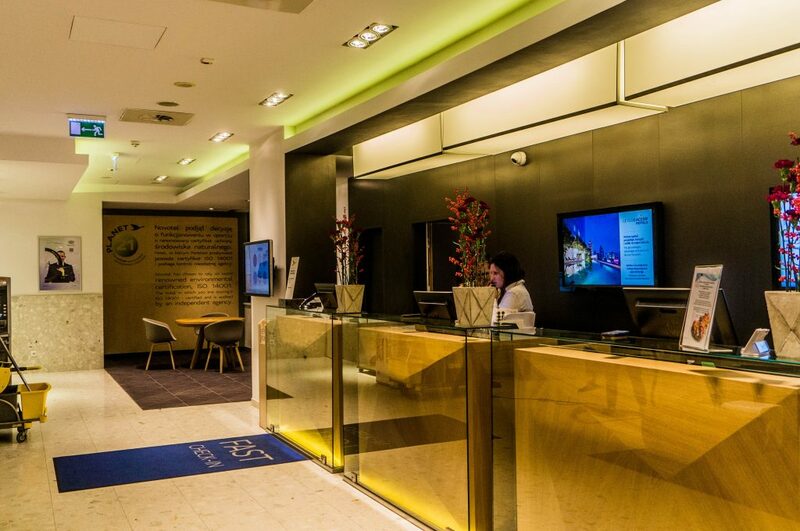 No Instagram account for Vienna House Andel’s Cracow – this is a lost opportunity to connect with guests staying at this hotel, whilst also increasing brand awareness. 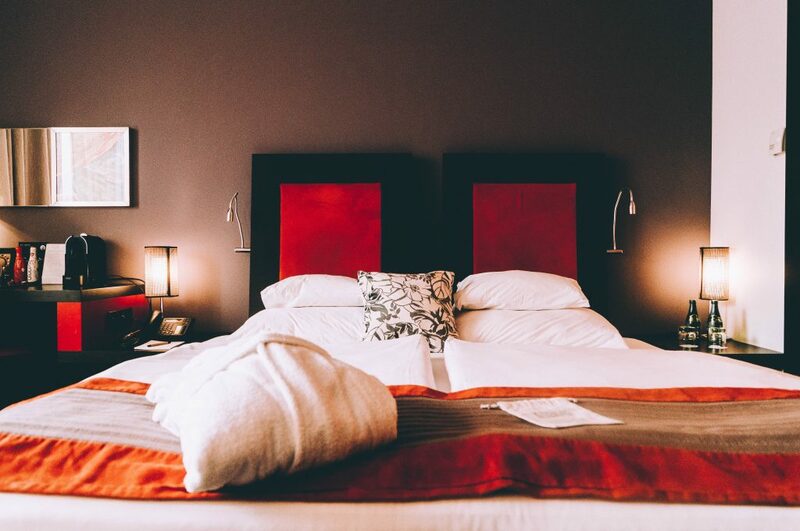 If you are looking to explore Krakow a little more luxuriously, then staying at Vienna House Andel’s Cracow is the perfect option. 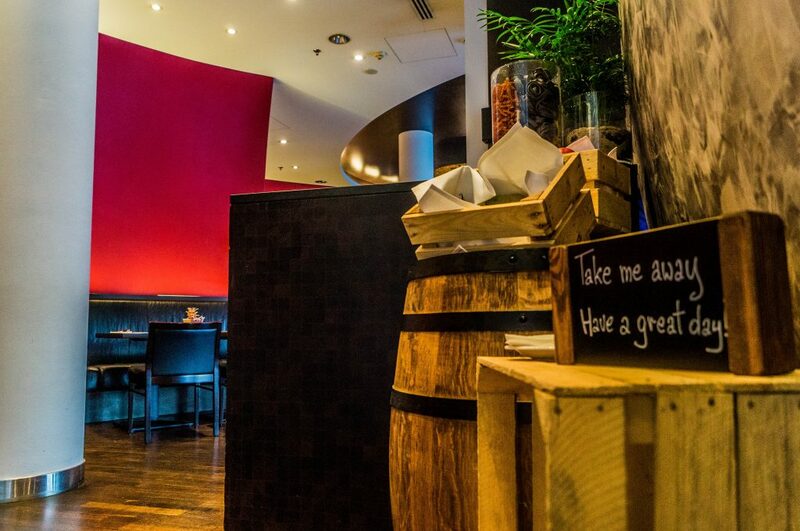 With each and every room having a luxury design and options available to all guests, with polite and positive staff team members ready to help at your request, there’s no reason not to book a city getaway break at Andel’s Cracow. 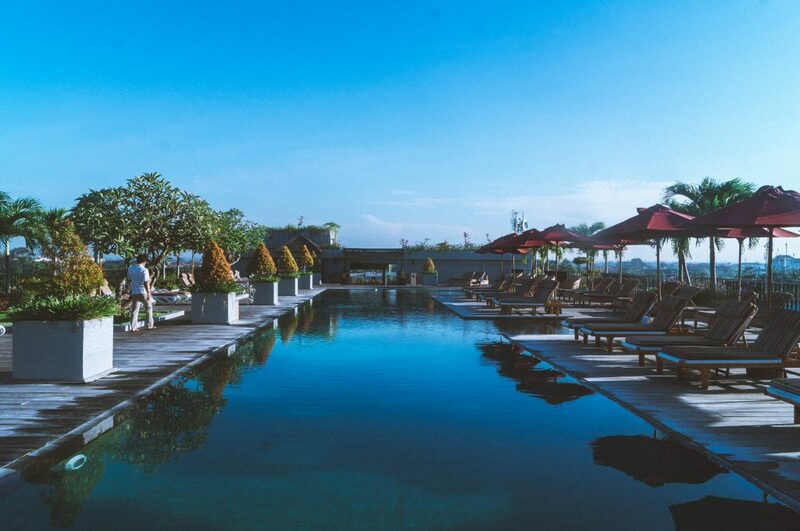 The ideal location for solo travellers, corporate and family vacations. Disclosure: My stay was hosted by Vienna House Andel’s Cracow, but all views are my own and reflect my stay accurately. Top Tip: Check out the breakfast options to start your day off healthy, then begin a short a walk along the river right outside the hotel to admire the views. If you’re looking for a short two-night city break, Krakow, Poland is the perfect place. 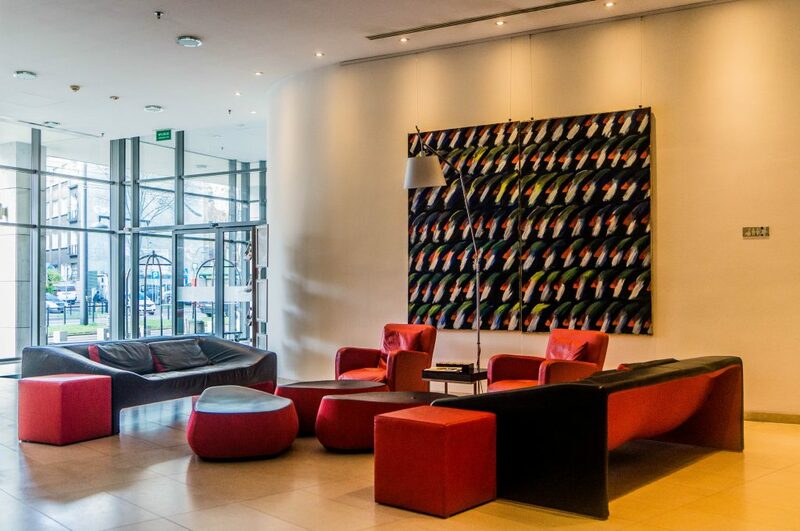 Novotel Krakow Centrum is an ideal hotel for your solo retreat or family vacation. 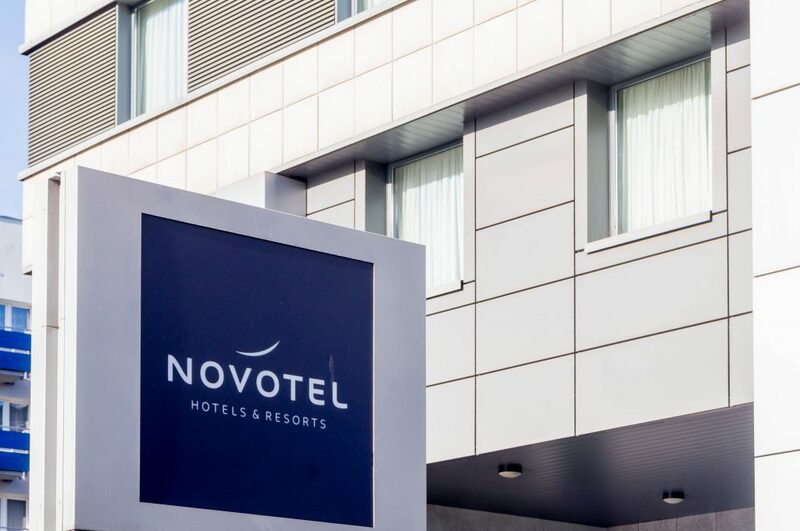 There are 198 rooms and suites at Novotel Krakow Centrum, 21 family rooms, and 38 connecting rooms. 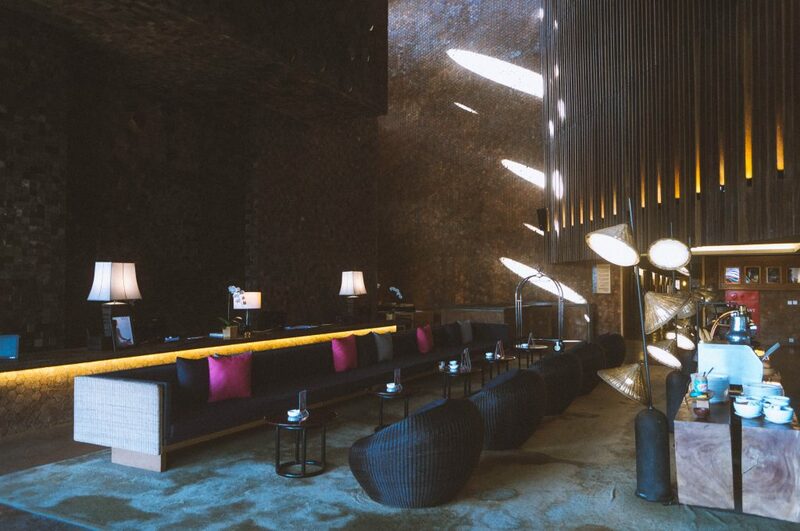 The hotel offers various options for each and every guest – indoor heated pool, fitness room, spa, gaming area (Xbox 360 + Kinect) with interactive table for children, bicycle rental and Novo Square lounge bar – a combination of a bar and a restaurant, the perfect place to rest. Krakow is a popular location for tourists, there’s plenty of history and landmarks to see. 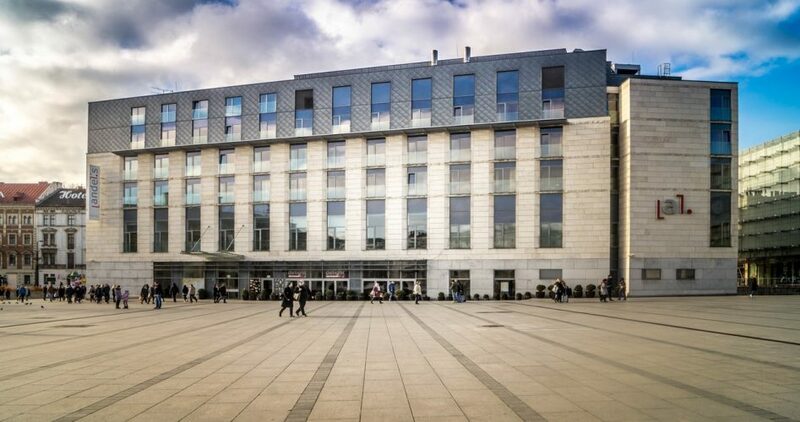 Novotel Krakow Centrum is just a short walk from the Old Town and is positioned right in front of River Wista. 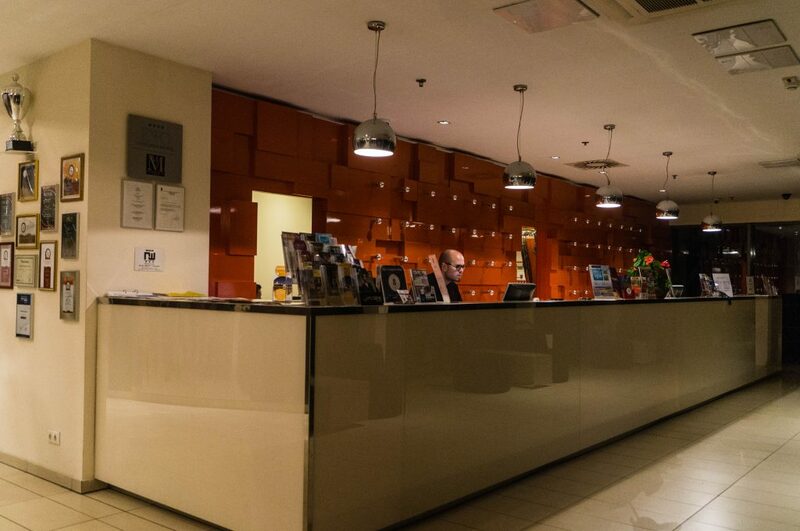 On my first night staying in Krakow, after checking in at Novotel, I explored the local areas and due to most of Krakow’s attractions being in walking distance, the location of this hotel was ideal. It took me less than 14 minutes to walk to Wawel Cathedral from this location. There is no need for public transport, and I would recommend walking as you’ll see much more. A walk along the river is definitely recommended – it’s very beautiful at night with the various buildings all lit up! Upon arriving at Novotel, I checked in within minutes. There was no queue, I was straight up and the check-in process was simple. I was given Room 317, Novotel’s Standard room that accommodates up to two adults and 2 children. After stepping a foot inside, I was very pleased with the room – it was very spacious, had a great view from the front of the hotel right above the entrance (the windows are huge – pretty cool!) 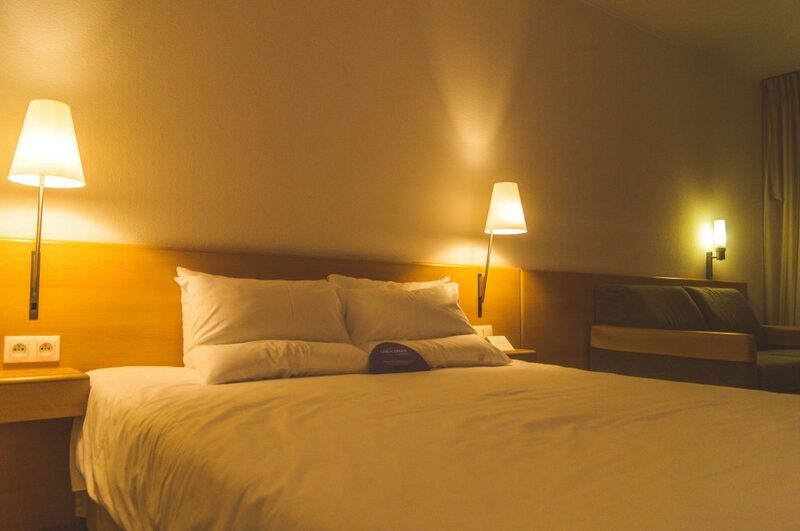 The Standard room includes free WIFI, LCD TV, air-conditioning, bathroom with shower, minibar, basic tea and coffee facilities (didn’t come across any milk) and a pretty big safe with plenty of room. I’m pleased to report the room was equipped with the essentials for a short enjoyable stay. 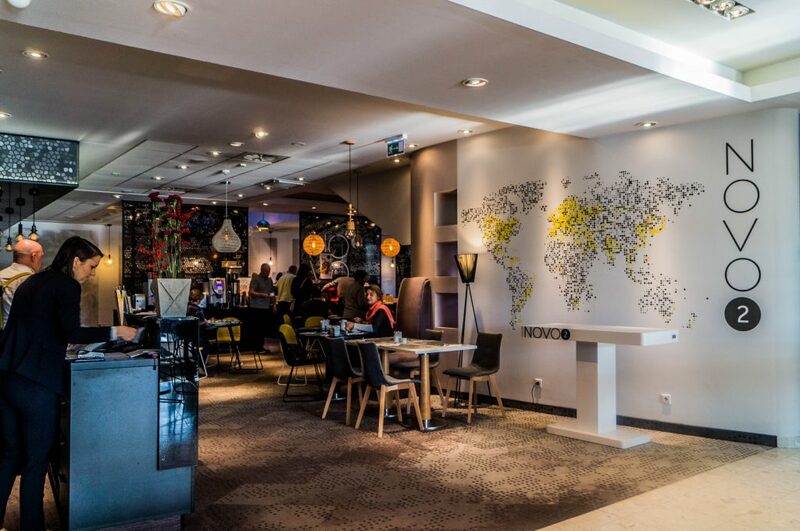 Hotel Novotel Krakow Centrum has 1 restaurant and a bar. 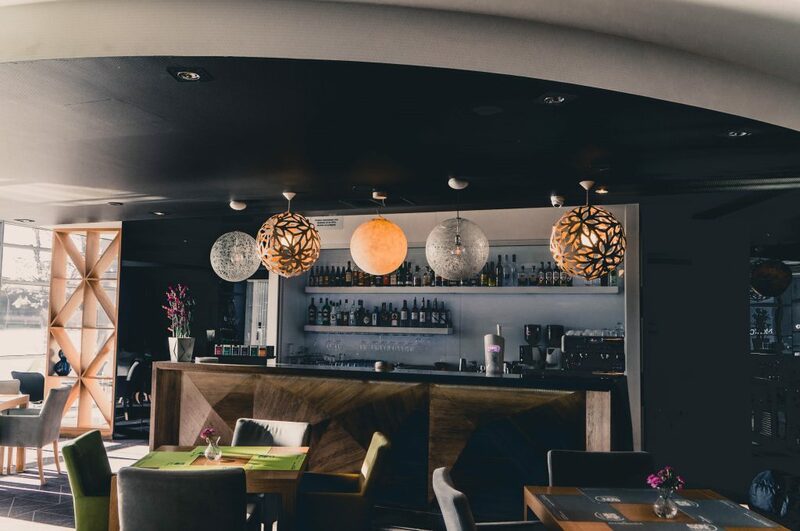 Novo Square is a modern interior designed lounge bar with a restaurant serving light and healthy foods from all over the world. 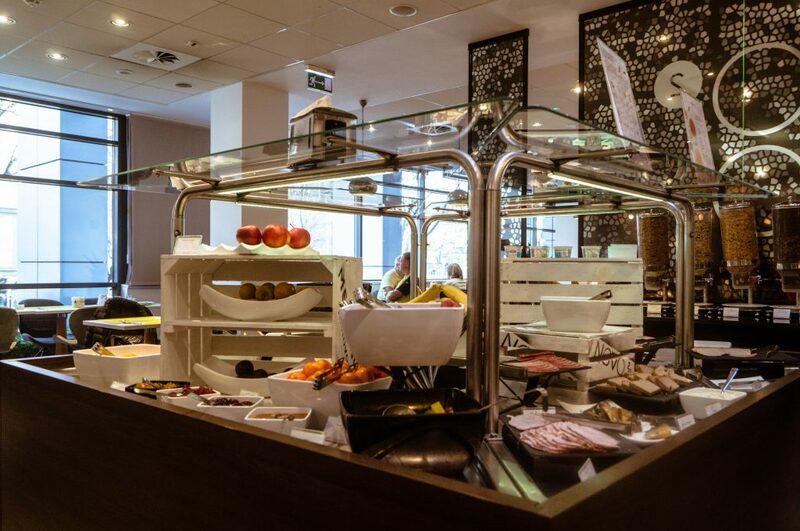 The food available for breakfast at Novotel’s restaurant included scrambled eggs, sausages, tomatoes and beans, boiled eggs, vegetables, fruit, cereals, toast and bread, and croissants. Whilst, not the biggest selection, there was a good variety to choose from to start your day off healthy. Bacon along with other food is available upon request. Some of the dishes are also available 24/7 via Room Service. Novo Square’s menu includes alcohol and soft drinks along with a selection of interesting regional beers. The hotel has one swimming pool (heated), a wellness centre which includes a gym, sauna, jacuzzi, beauty parlor and also massages. 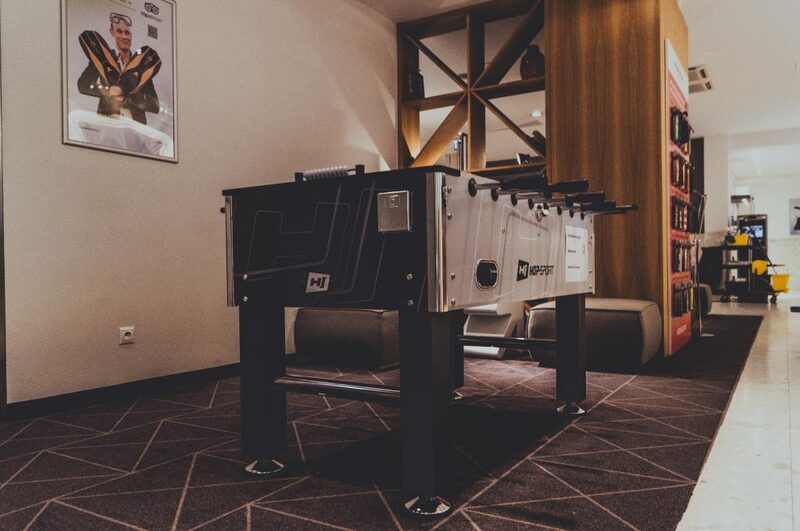 Hotel Novotel Krakow Centrum also has a children’s play area which consists of an Xbox 360 with Kinect, along with an interactive table for children. 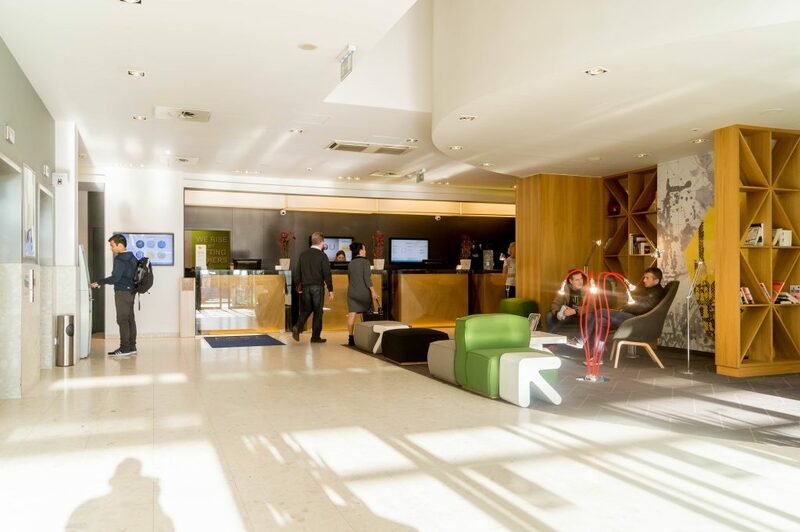 They also have a chill-out lounge in the lobby with charging units allowing you to take a rest after your day’s exploring. 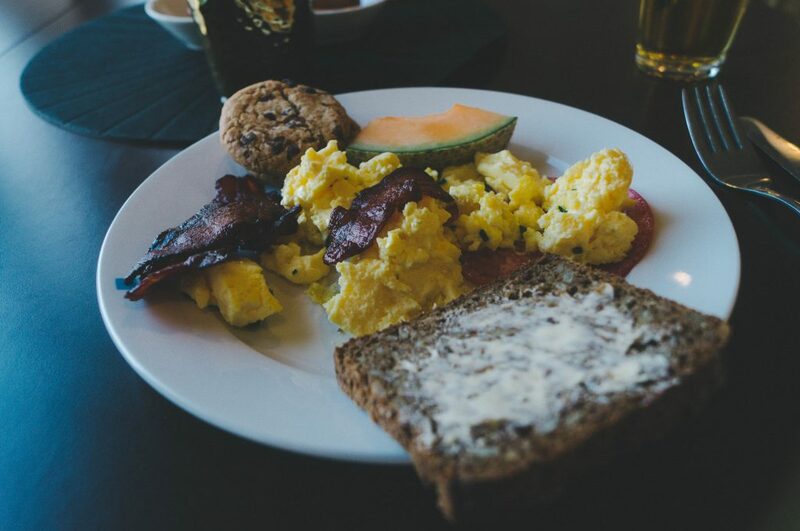 A complimentary breakfast was included with my stay – the food was tasty! Great selection of drinks, however, the glasses were a little small, so I did find myself going up for more after a few sips. The room only featured one image, it could do with some more decoration – different style of modern photography or art. This would make the rooms more vibrant. 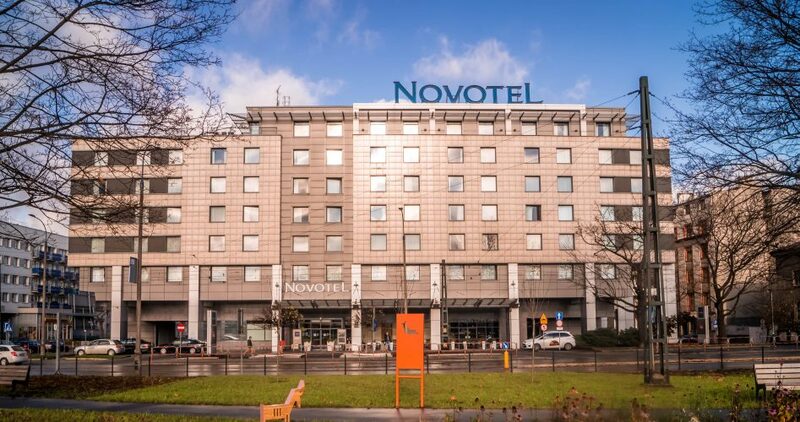 If you want to explore Krakow and have the majority of attractions within walking distance of fewer than 20 minutes, yet stay in a quiet clean location with great facilities at reasonable prices, shopping centres on your doorstep and plenty of restaurants nearby, I recommend staying at Hotel Novotel Kraków Centrum. Disclosure: My stay was hosted by Novotel Kraków Centrum, AccorHotels, but all views are my own and reflect my stay accurately. Ask any traveller who’s been to Europe and visited Prague, no-doubt they’ll say it’s one of the most stunning and fun cities they’ve visited. That’s because of many reasons, not just the architecture, history or the very cheap beer! 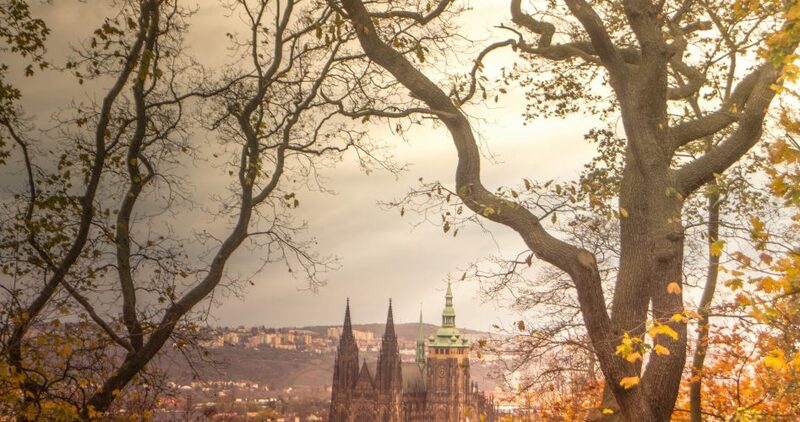 In this Prague travel guide, you’ll find 10 exciting reasons to visit Prague, Czech Republic. If I were to list all the attractions in Prague, I’d be here all day. The list is endless, it’s a beautiful city that you can return to again and again and visit new attractions because there’s just so many of them. I’ve visited twice and loved every moment of both trips. There’s still much more for me to discover there so maybe another trip back to this beautiful city in the future is needed. From the Castle District to the Jewish District, from Old Town to New Town, you can’t miss the breathtaking architecture and stunning views. Some of which will leave you lost for words. 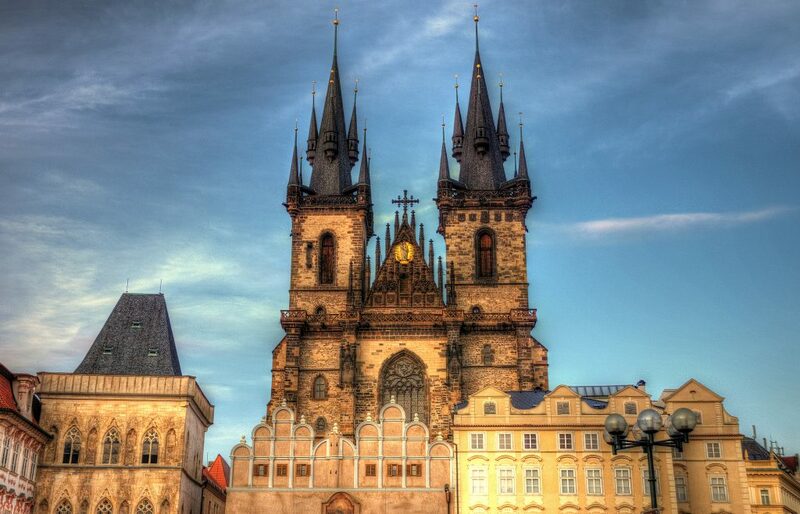 One of the biggest reasons people tend to travel Prague is due to how cheap it is. Accommodation in Prague can be pretty cheap, but don’t get me started on the meals and beers. If you visit a local restaurant you’ll pay less than $3 for a meal. Beers are even cheaper than that! You’ll pay roughly $2 in a bar and less than a dollar if you buy from shops. The further you go out, the cheaper it gets. 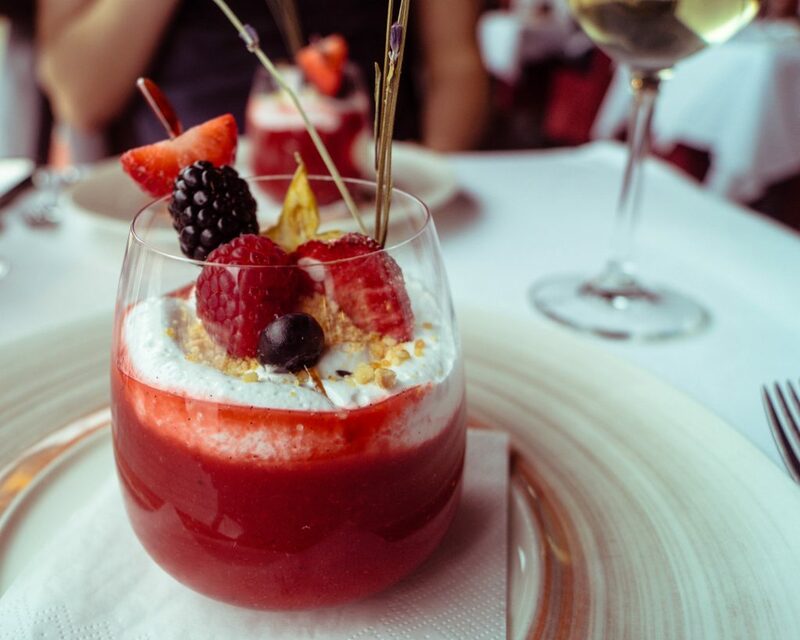 Whilst there are the finer options which are a little more pricey, like dining out at top restaurants such as Kampa Park, it’s definitely worth it. Especially when you can sit down and throw back a glass of wine with a brilliant view like this. Prague has various events annually which will make your trip memorable. Quite a lot of them are free and are seasonal events, holiday parades and sometimes specific markets for special occasions, like the winter Christmas market. These events will allow you to experience Czech culture in exciting interesting ways. Best of all, you will capture some great pictures too! When I visited Prague this year, I caught a special ceremony taking place at Prague Castle. Whilst it was very busy, it was quite interesting and a little different from usual. Arrived at the perfect timing, a ceremony was taking place. Extremely busy but still managed to grab a quick shot! The majority of Prague’s most interesting sights can be reached on foot. For both of my visits, I mostly walked everywhere as the main attractions are all local. I also personally prefer walking as you get to find hidden sights such as the John Lennon wall. 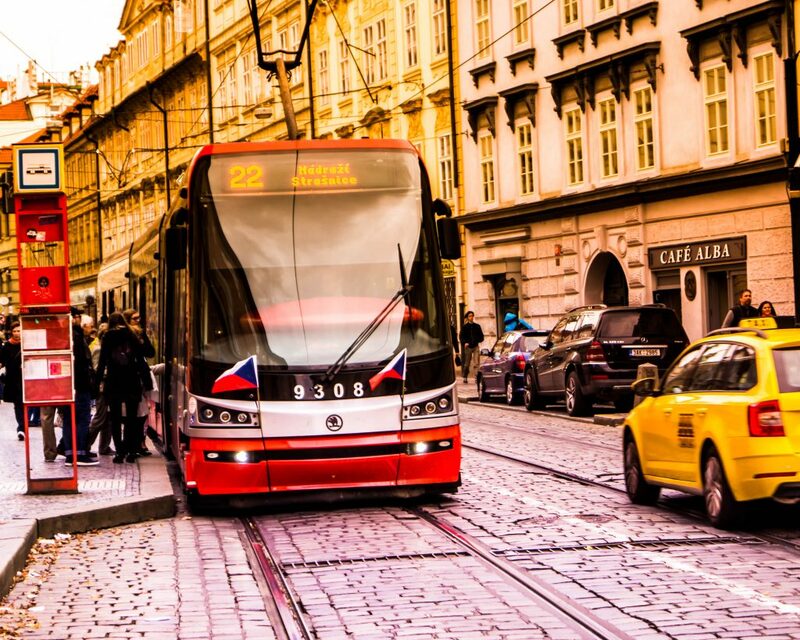 If walking doesn’t appeal to you, or the weather isn’t great, you should consider utilising Prague’s public transport options. Whether you decide to hop on a metro or tram, they are both fairly cheap. Taxis, however, can also be very cheap, but just make sure you use a reliable trust-worthy taxi company. I would recommend using the AAA Taxis. 5. Prague is a safe city! I’ve visited Prague twice and have both times been walking around the city at night to capture and take in the beautiful views at night. 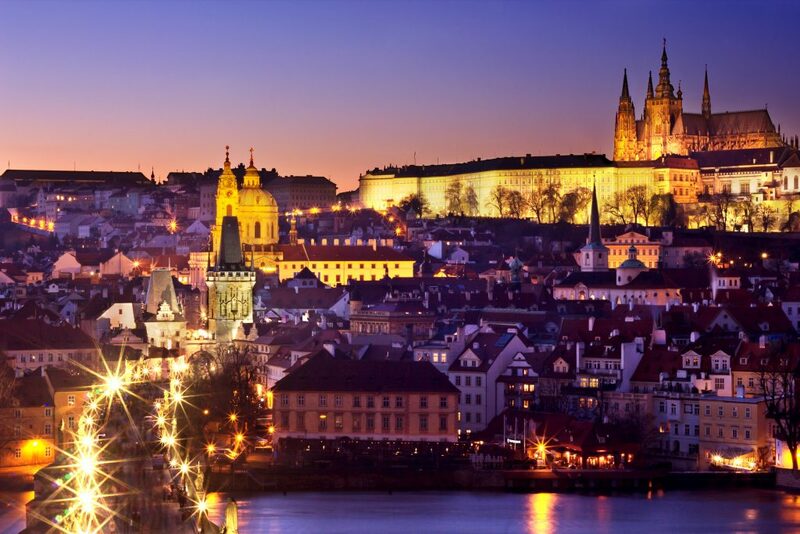 From my own experience and reading about Prague, it’s classed as one of the safest cities in the world. You won’t need to worry about major crimes like robberies, kidnapping etc. Of course, there are pickpocketers but just keep an eye on your stuff and you’ll be fine, like most people. Prague’s nightlife is great! It’s pretty lively and offers a lot. From pubs to jazz clubs to live music to modern clubs, there’s something to do in the evenings. All of which serve the famous Czech beer – which again, is very cheap! 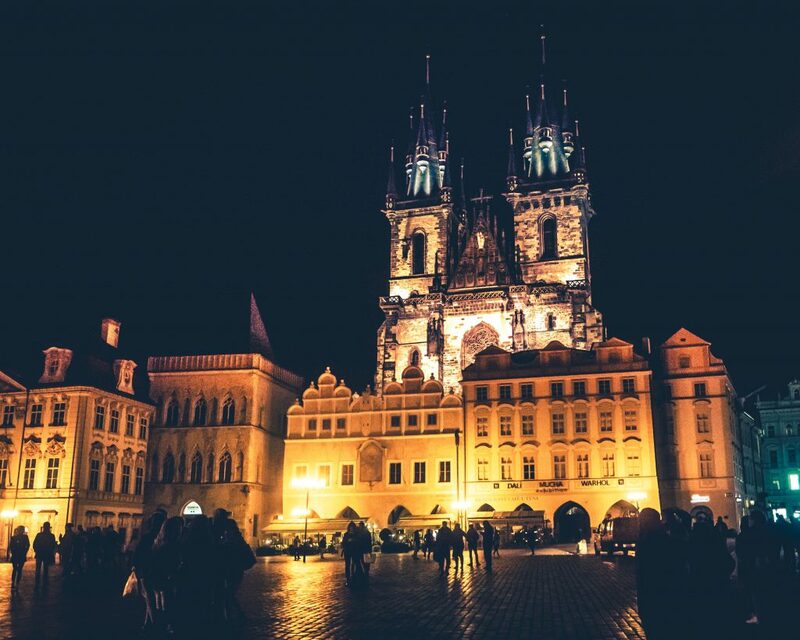 If the club scene isn’t your thing, don’t worry, there are plenty other things to do such as the museums, shops and even some night tours such as the ghostly tour telling you Prague’s darkest and scariest secrets. The architecture in Prague is stunning. There’s so much to look, especially the churches and other important buildings which are still intact today. When exploring Prague, you’ll notice a lot of the city has a mix of gothic and renaissance architecture. 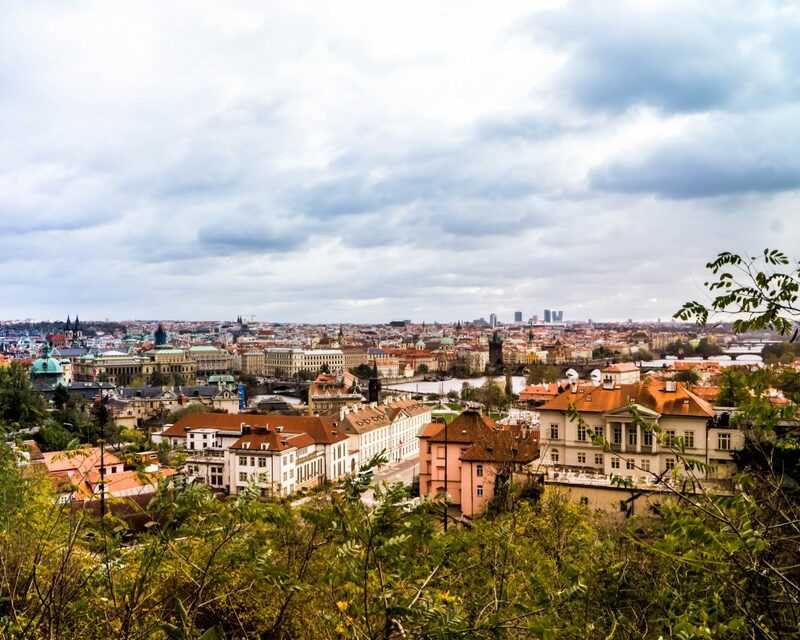 Prague seriously is breathtaking and there are lots of interesting tours that take you on a trip to really see the best architecture in Prague along with the beautiful interior designs. 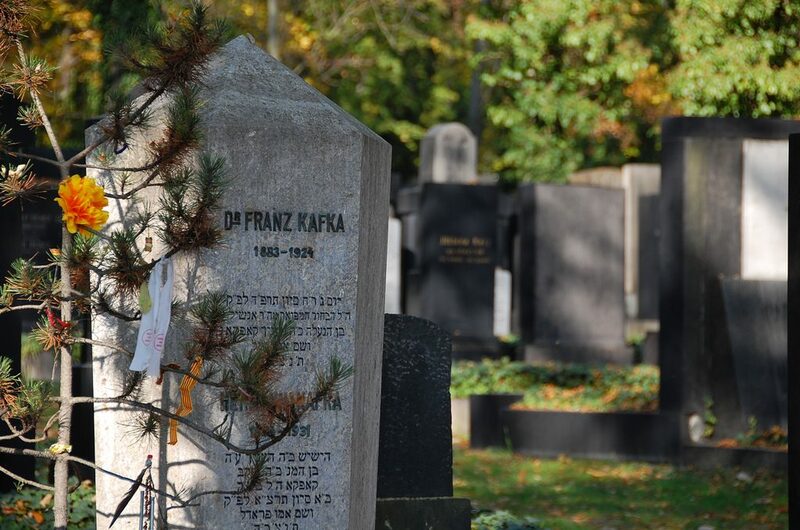 Franz Kafka German-speaking Bohemian Jew was born and grew up on the streets of Prague, quite close to Old Town Square. He had a big passion for writing and soon become one of the major figures of the 20th-century literature. Before that, he was a lawyer who worked at an insurance company. 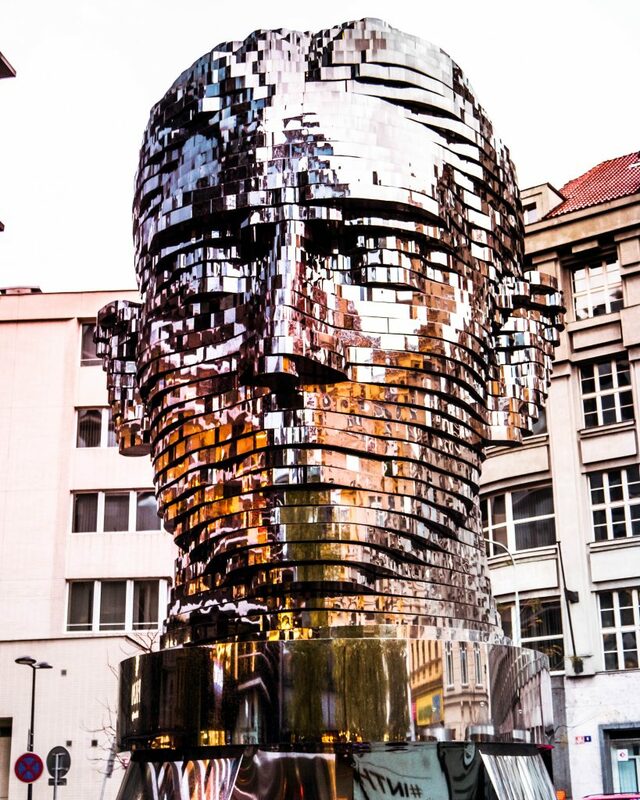 The Franz Kafka Monument also known as the Statue of Franz Kafka can be found outside the Quadrio Shopping Center.